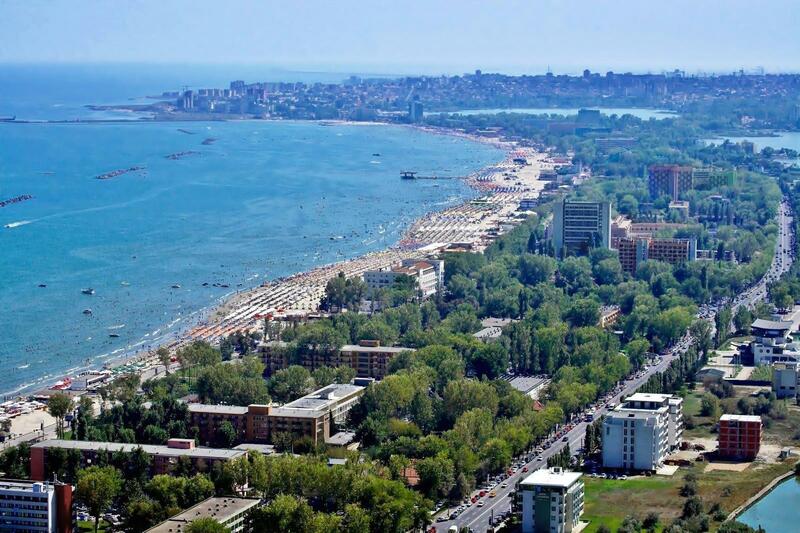 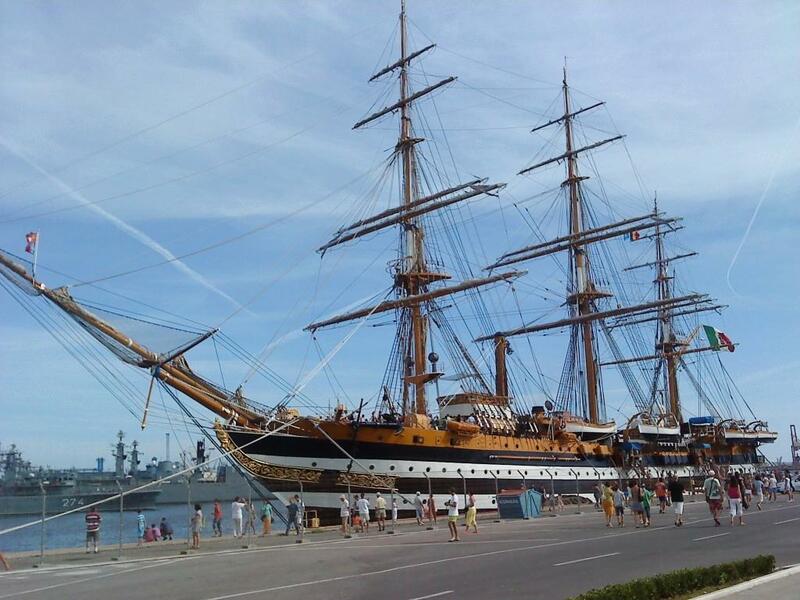 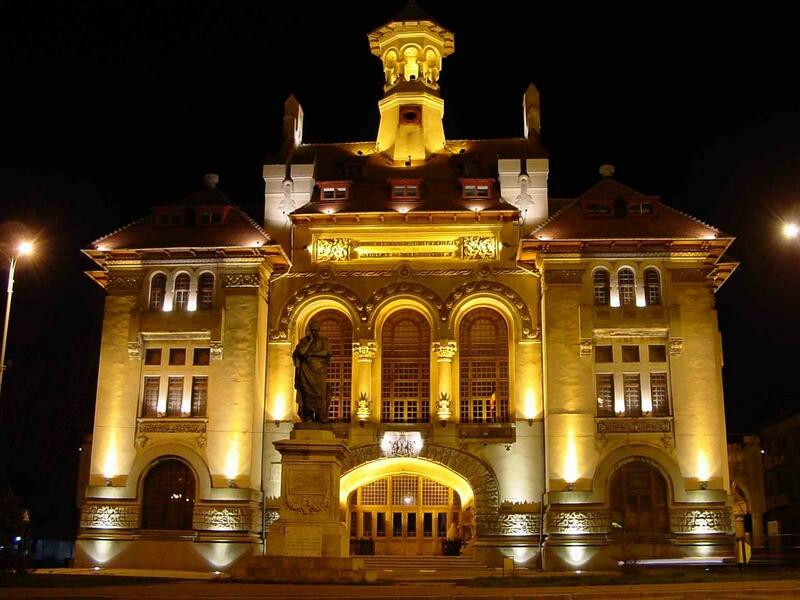 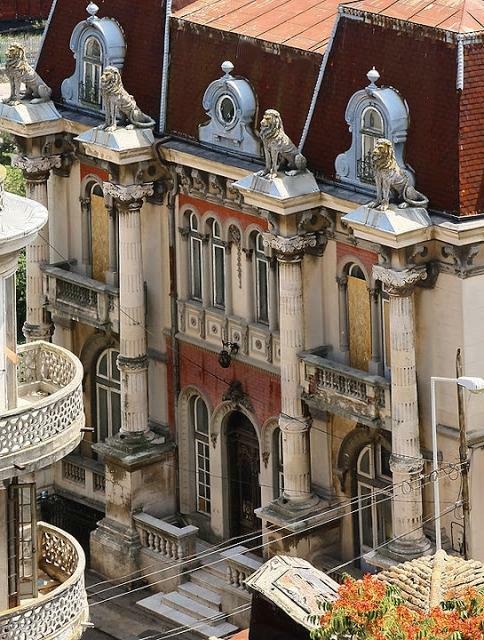 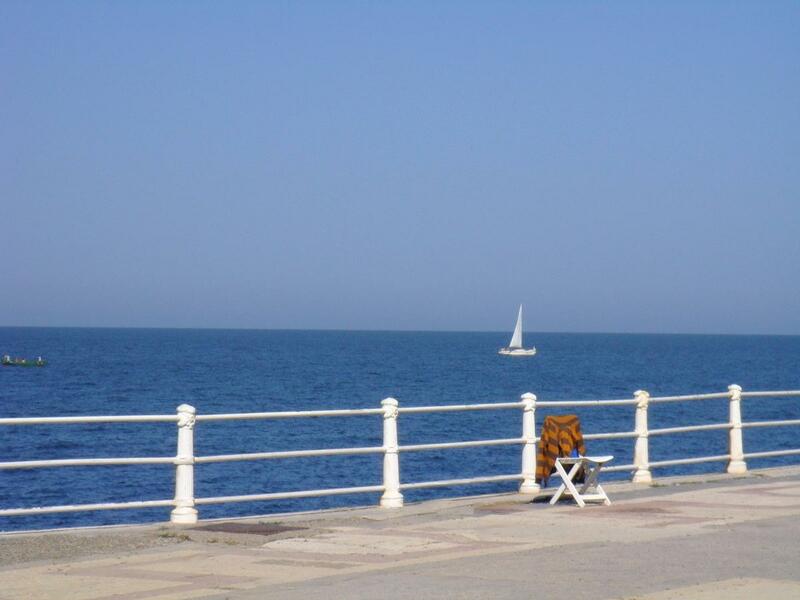 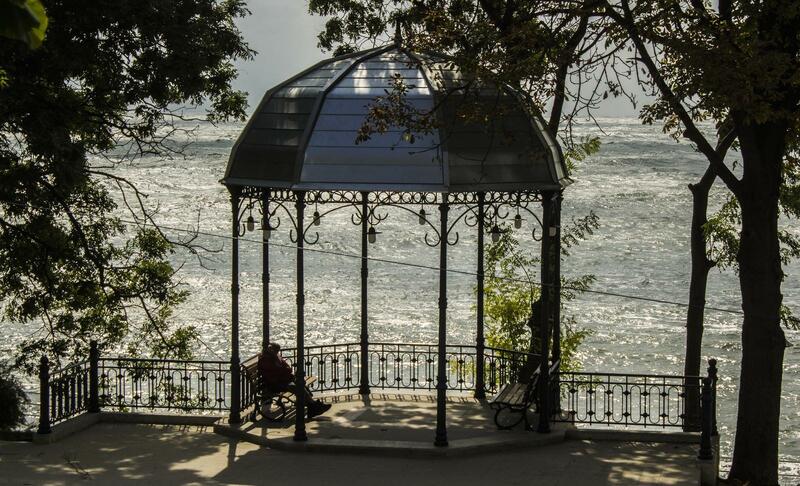 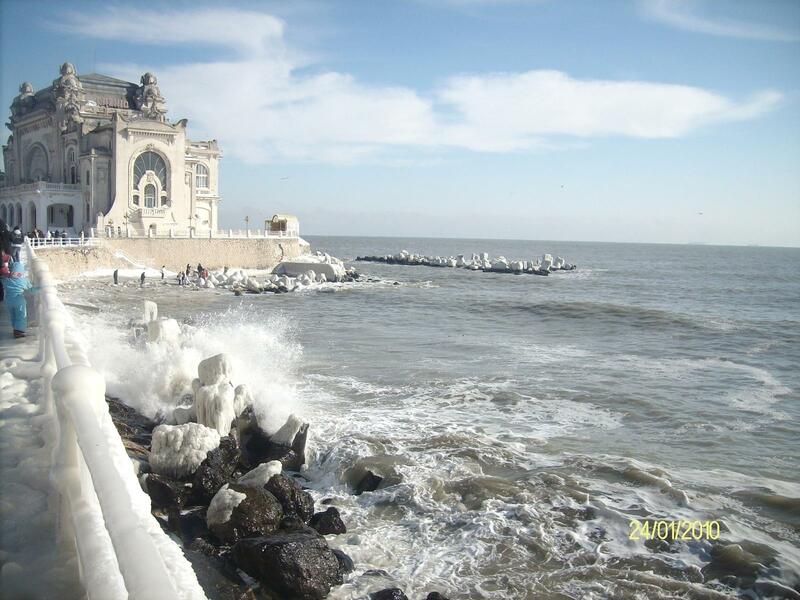 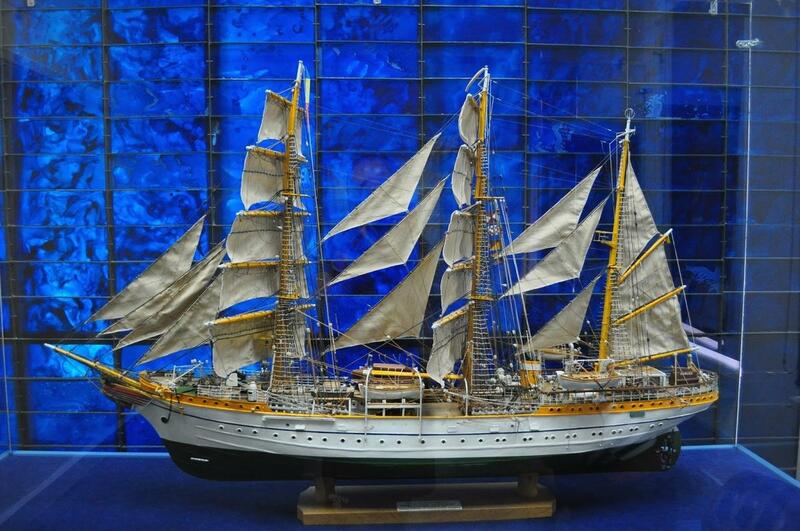 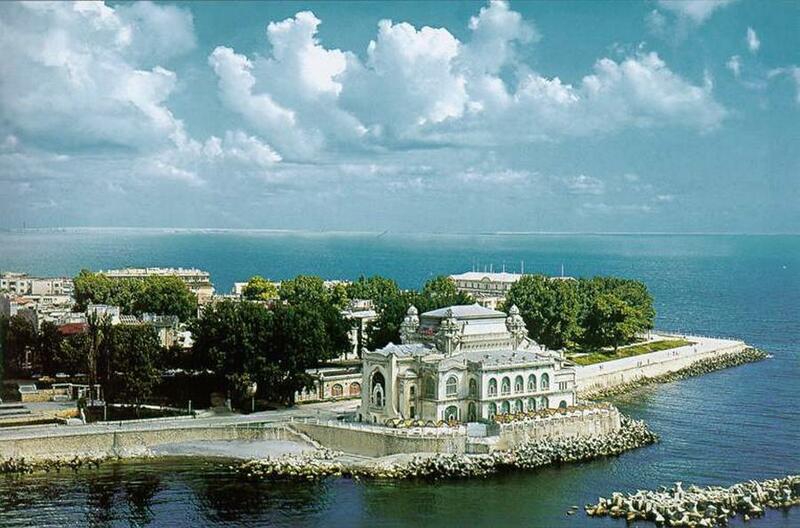 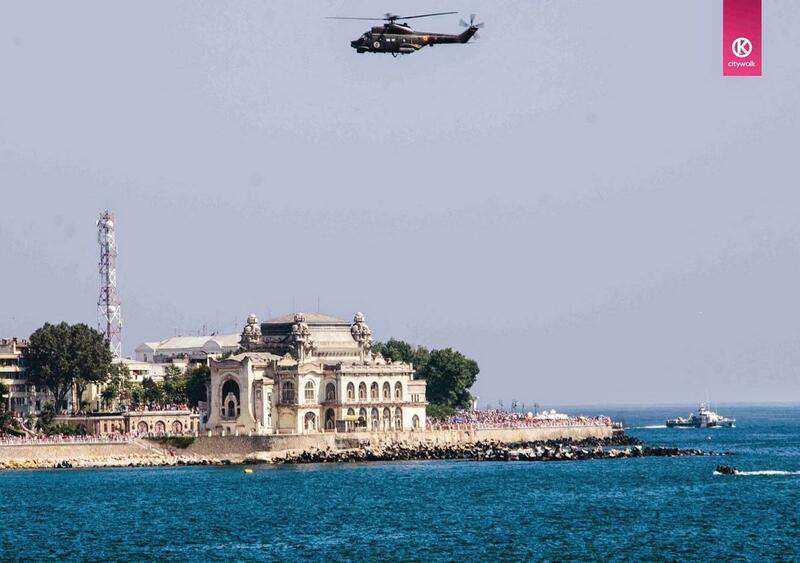 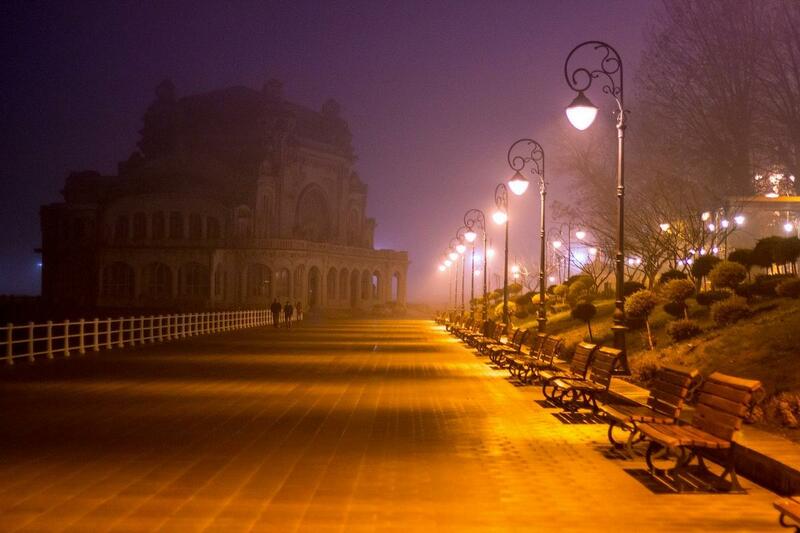 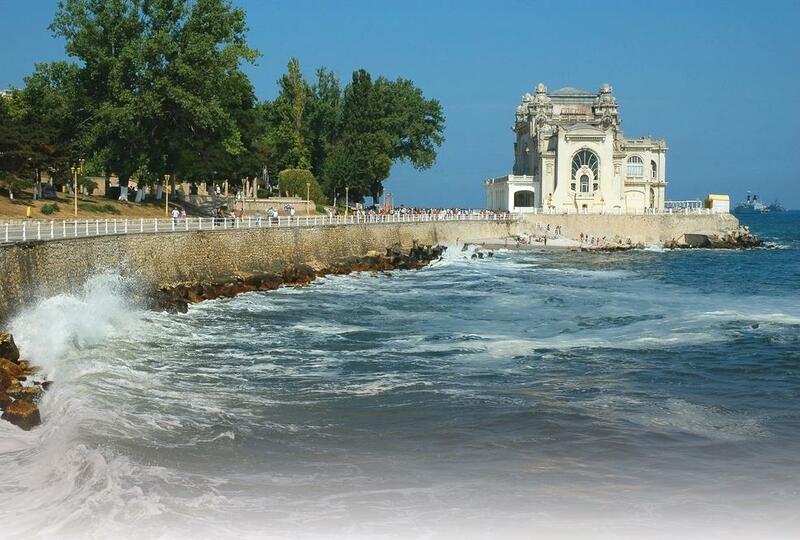 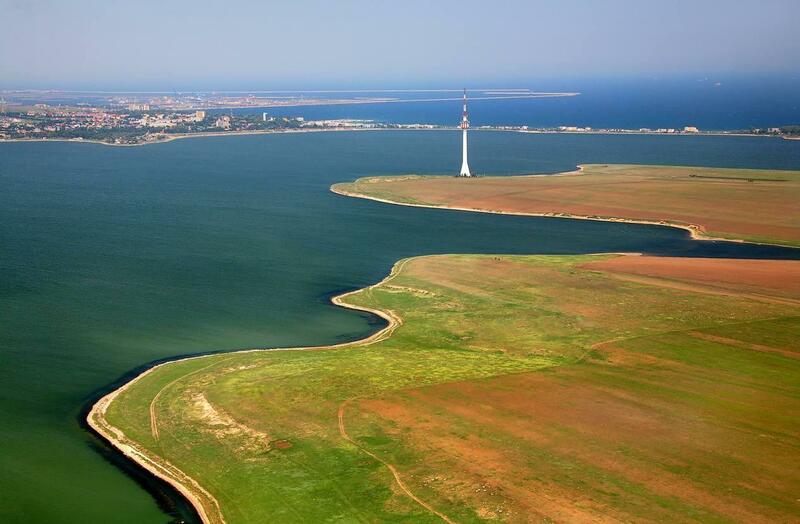 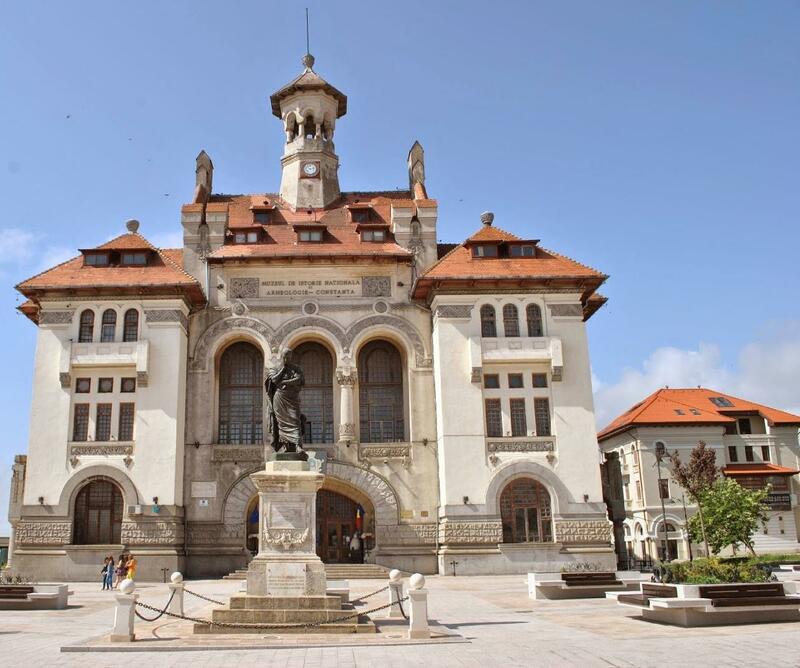 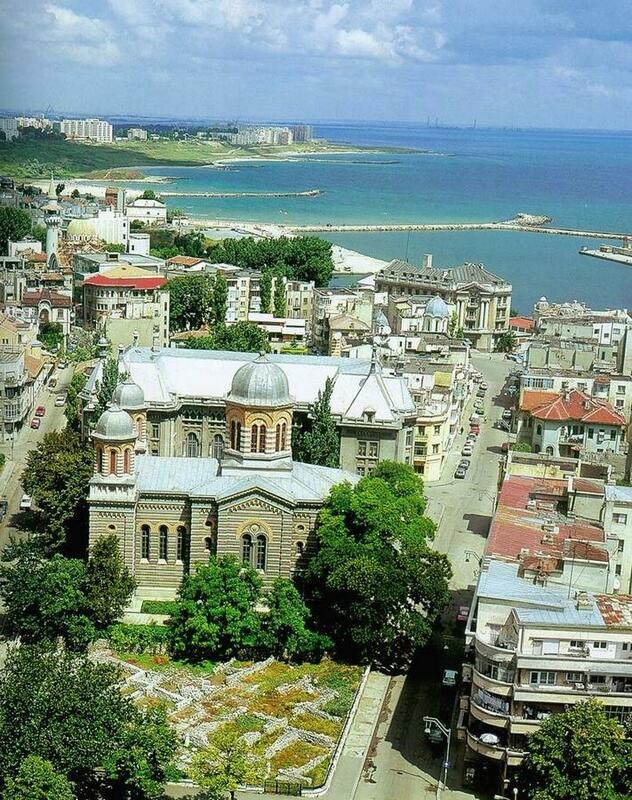 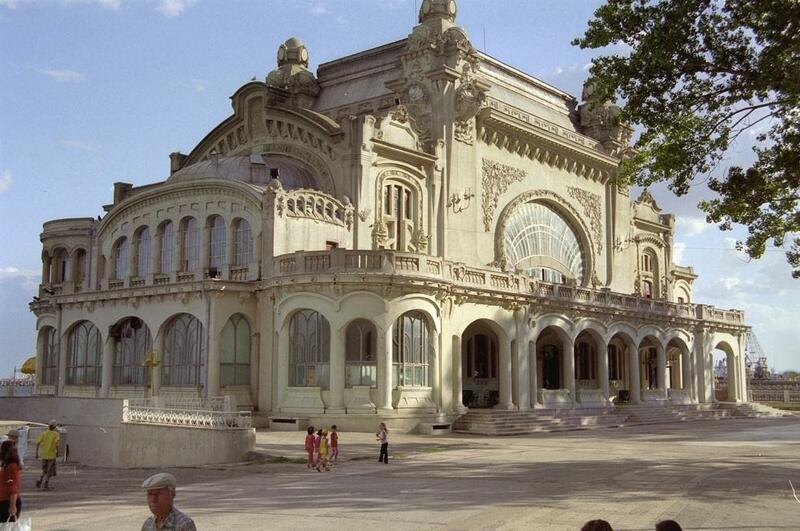 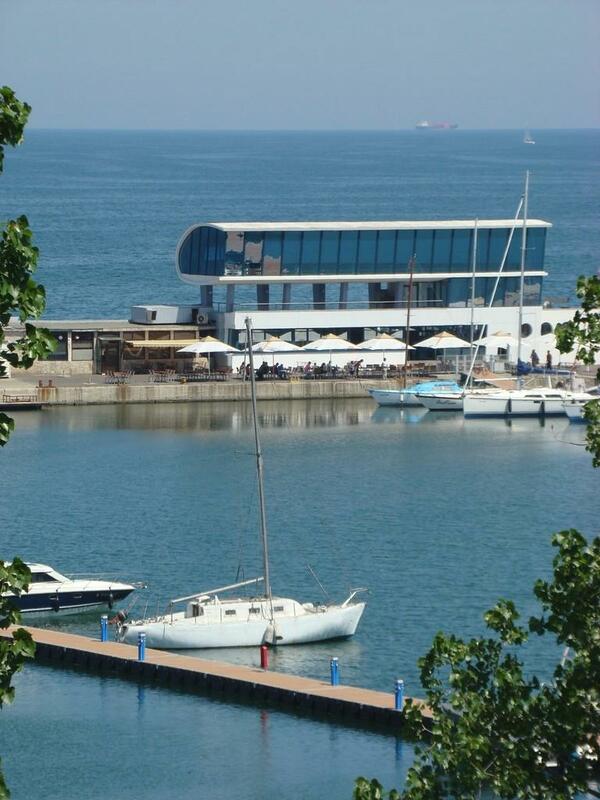 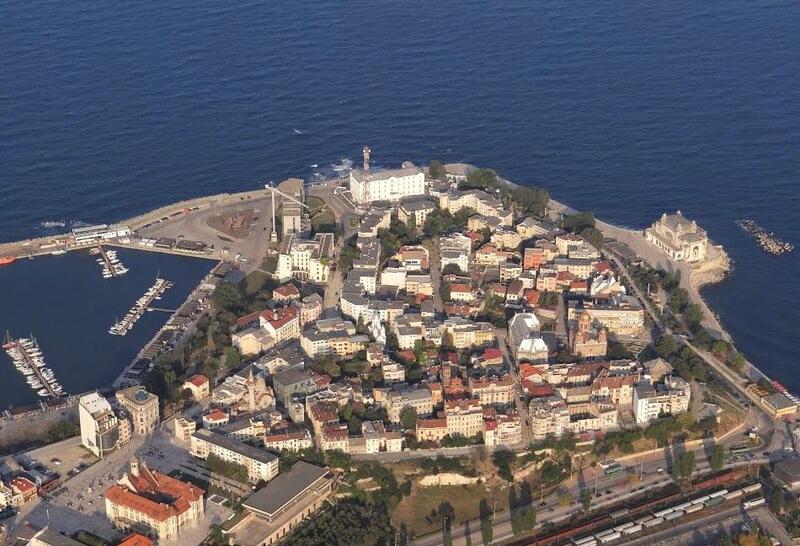 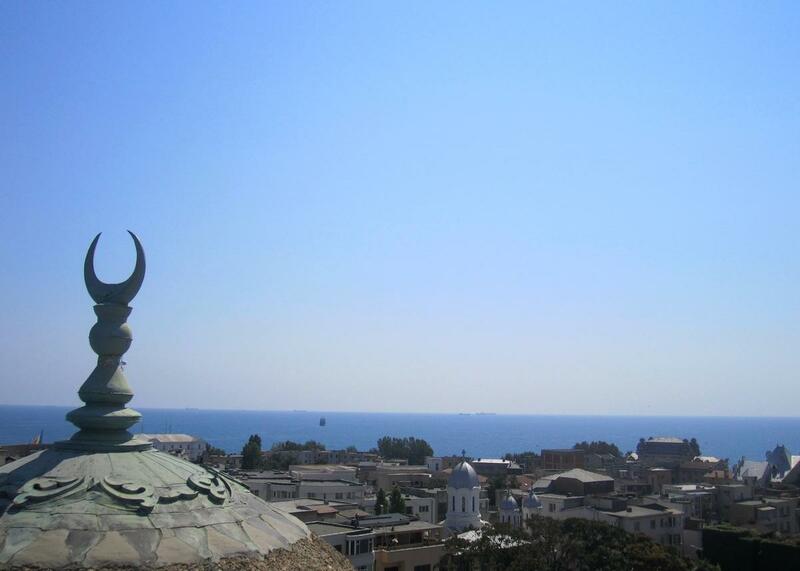 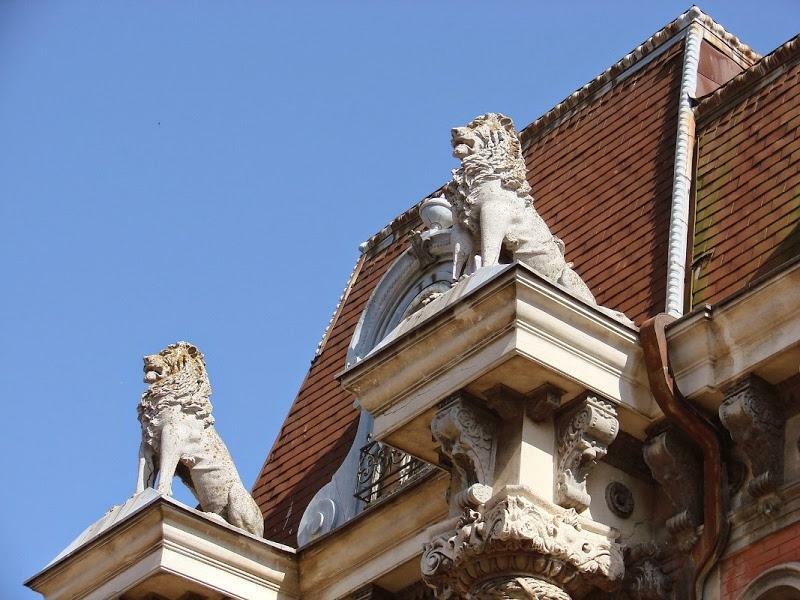 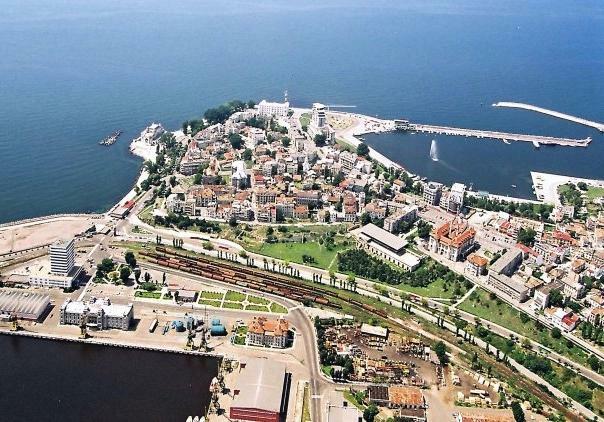 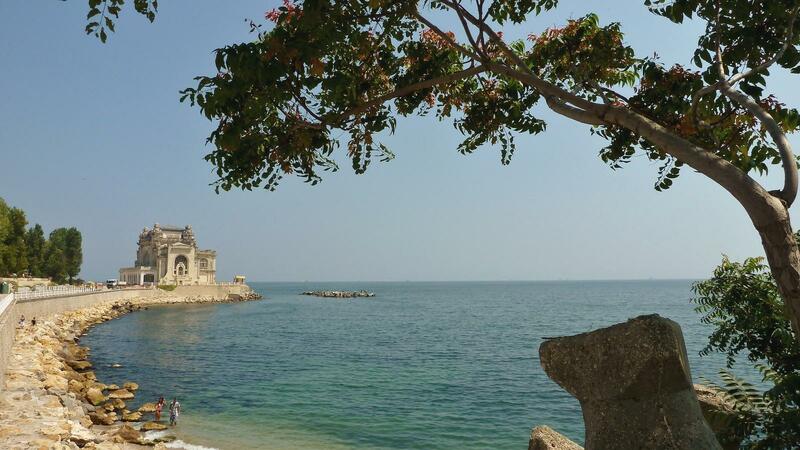 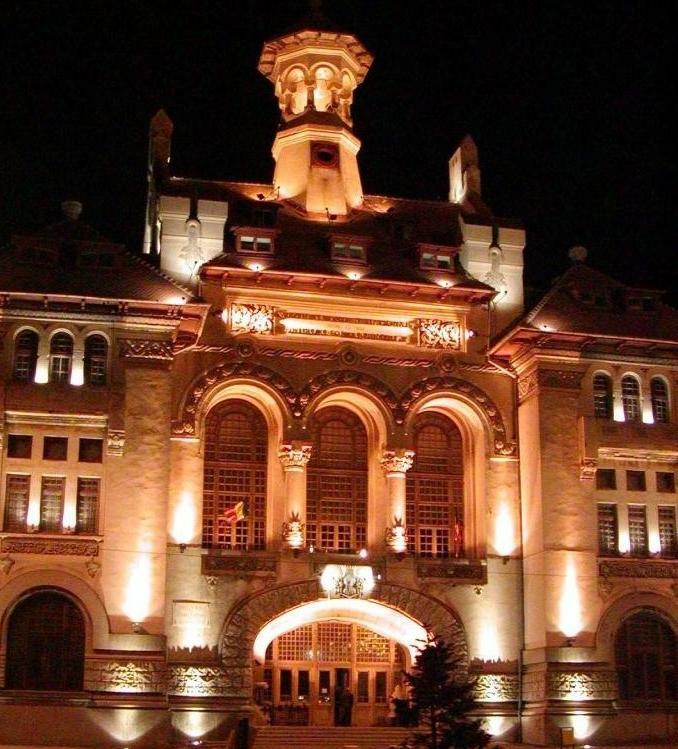 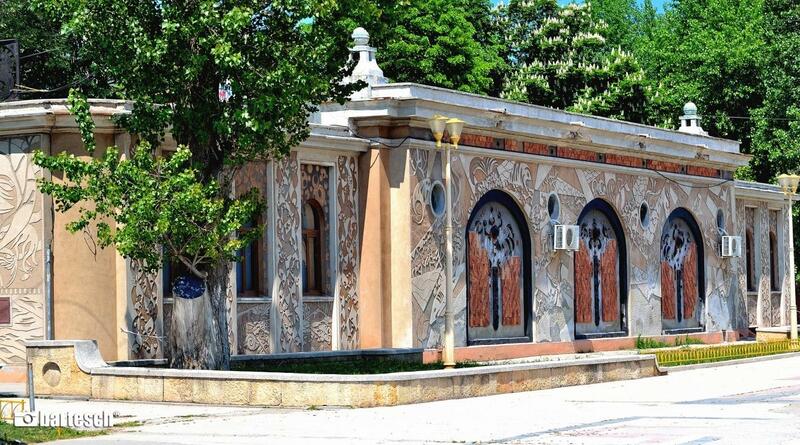 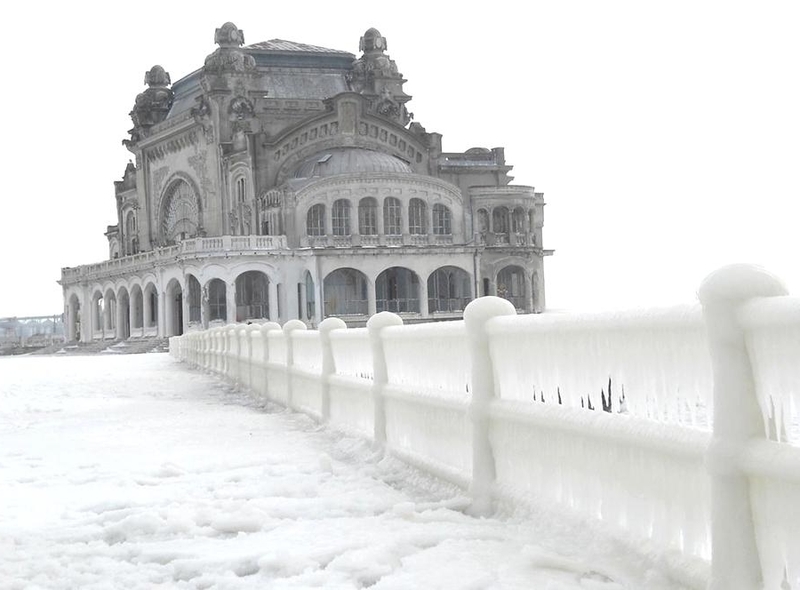 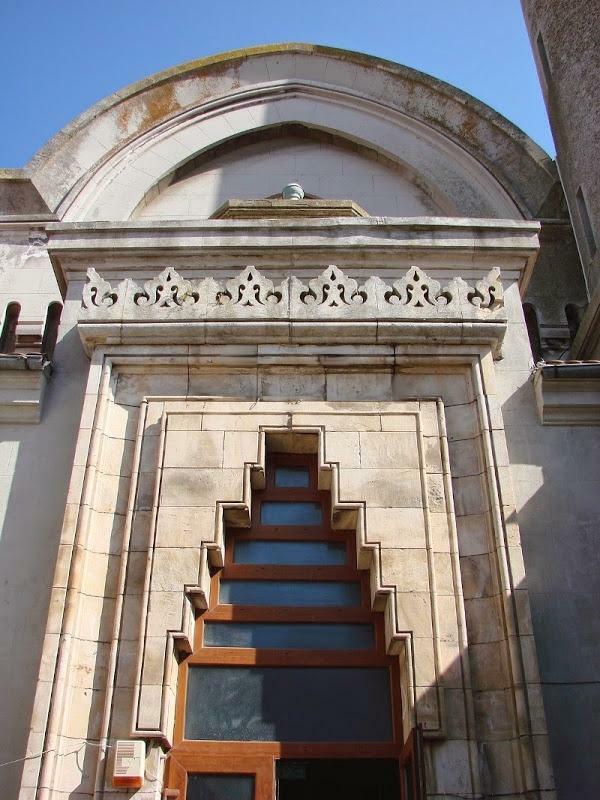 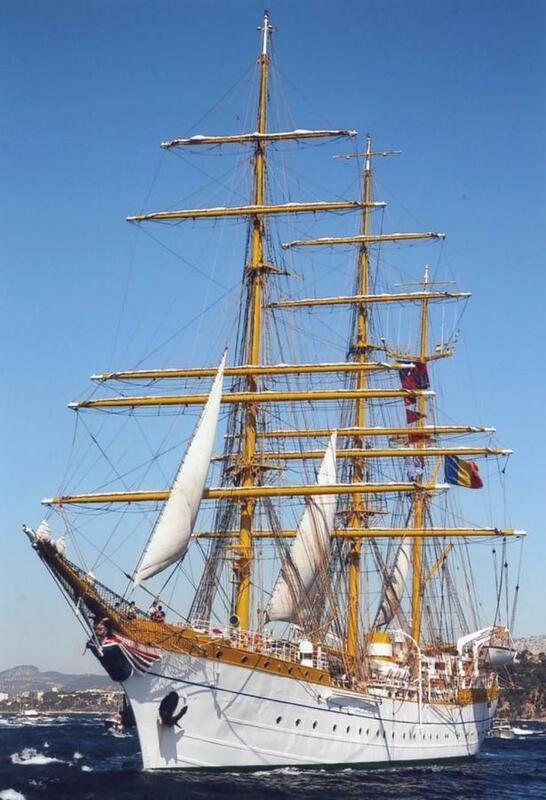 Constanta is an old port city founded in 657 B.C on the Black Sea coast, in Dobrogea region. 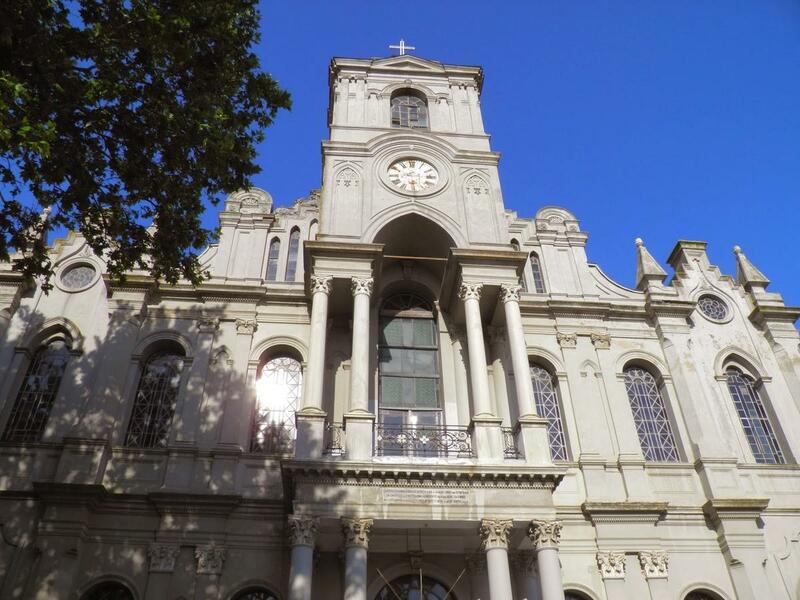 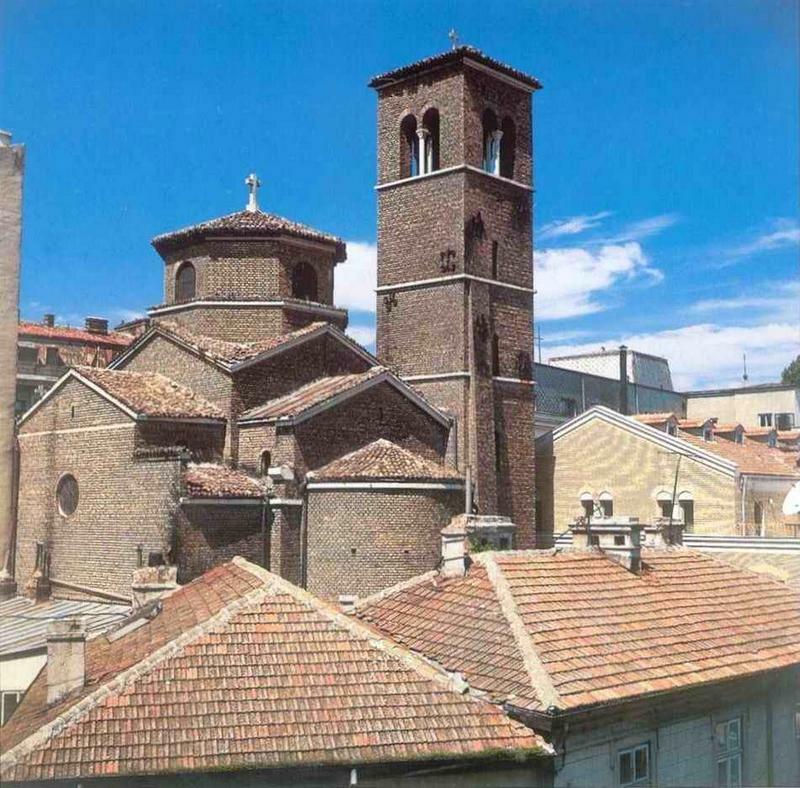 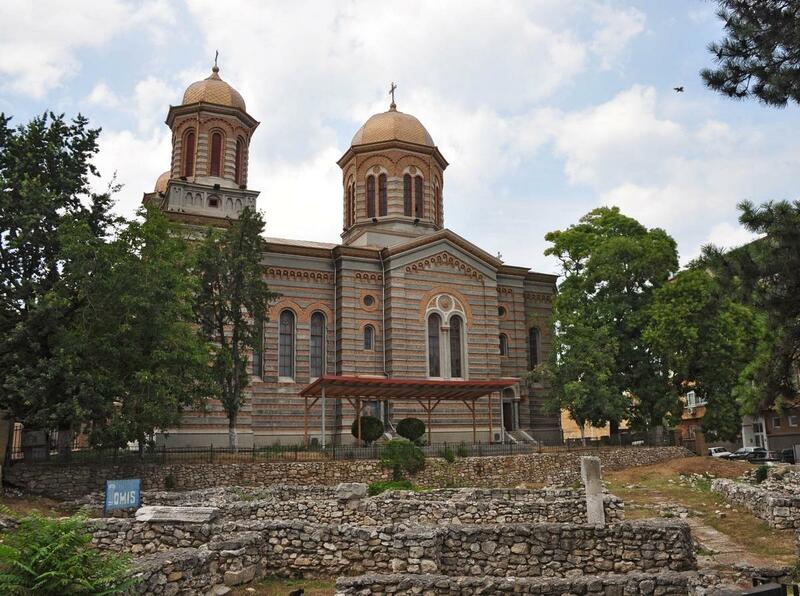 Its historic ancient name was “Tomis”, name given by Greek merchant colony established here. 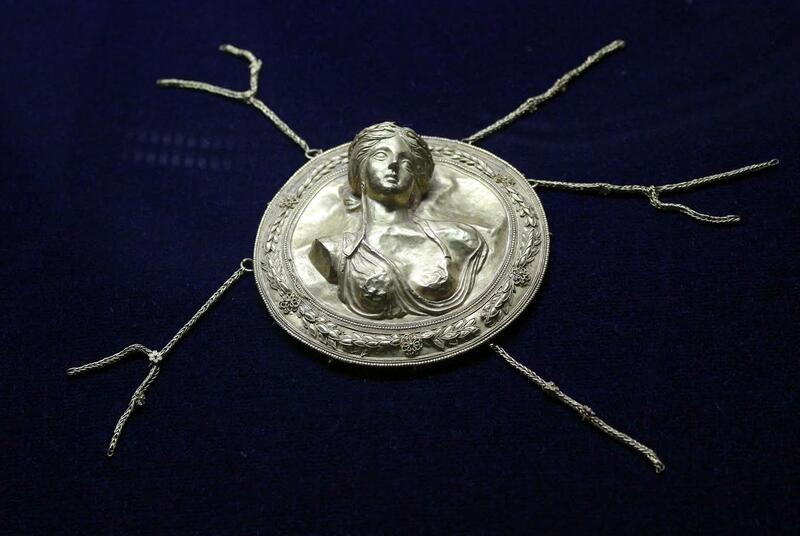 The greeks had strong commercial relations with the local Getae and surrounding populations. 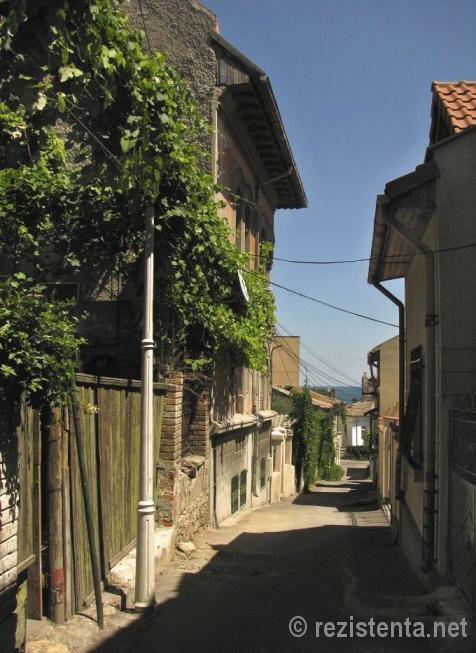 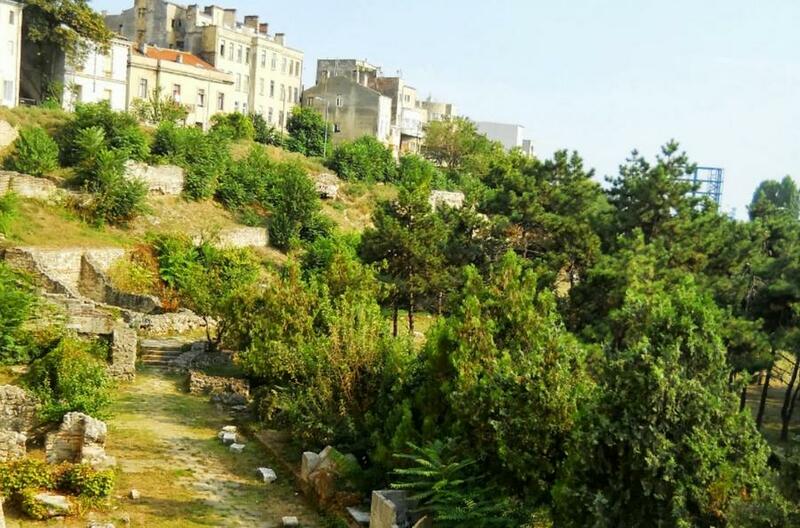 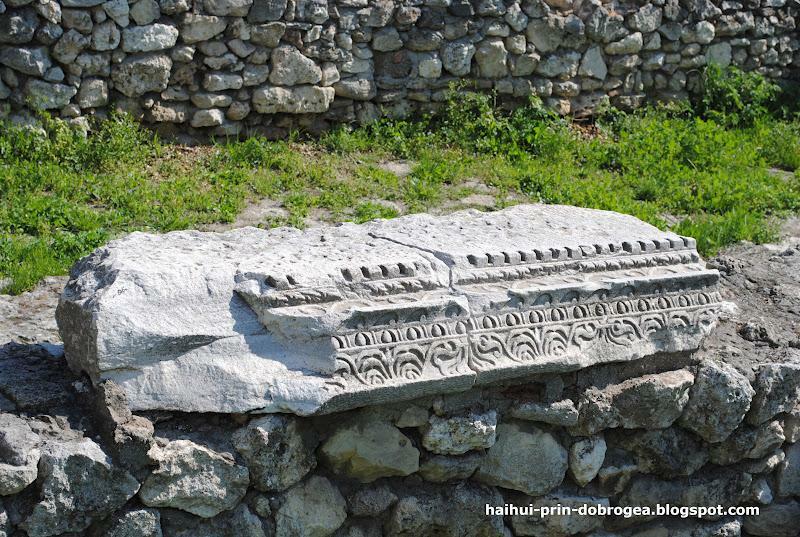 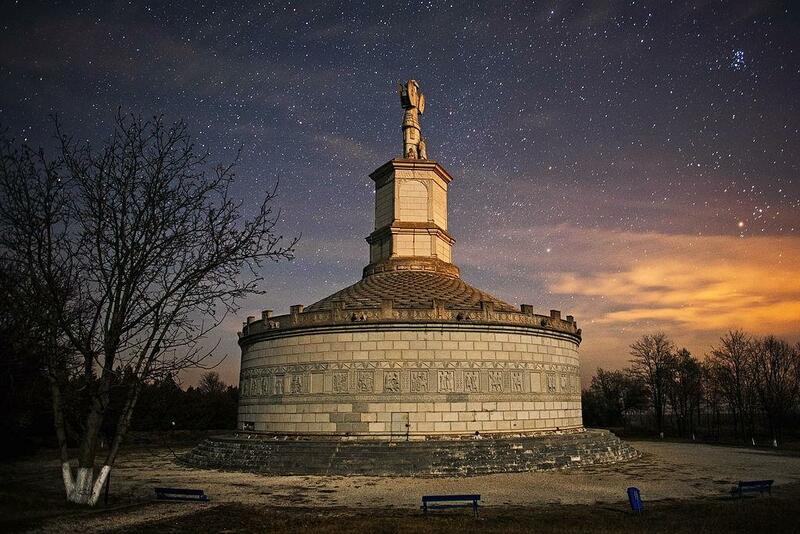 The city was also populated by Romans, Genoese traders, Turks and Tatars (Ottomans conquered and incorporated Dobrogea when it was part of Vallachia) and Romanians. 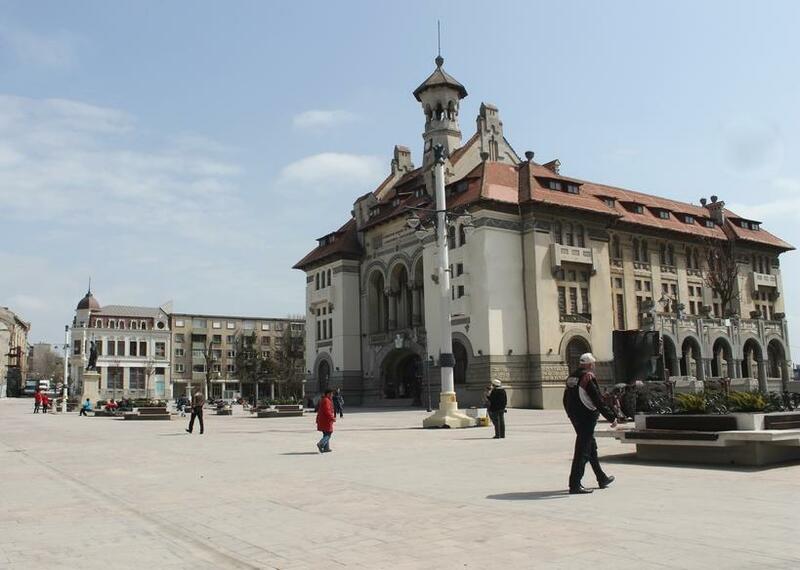 In the XIX century, Germans moved and lived here until 1940, when they were forcefully resettled by the Nazis to the German Reich after Hitler had agreed on Soviet invasion of Romania. 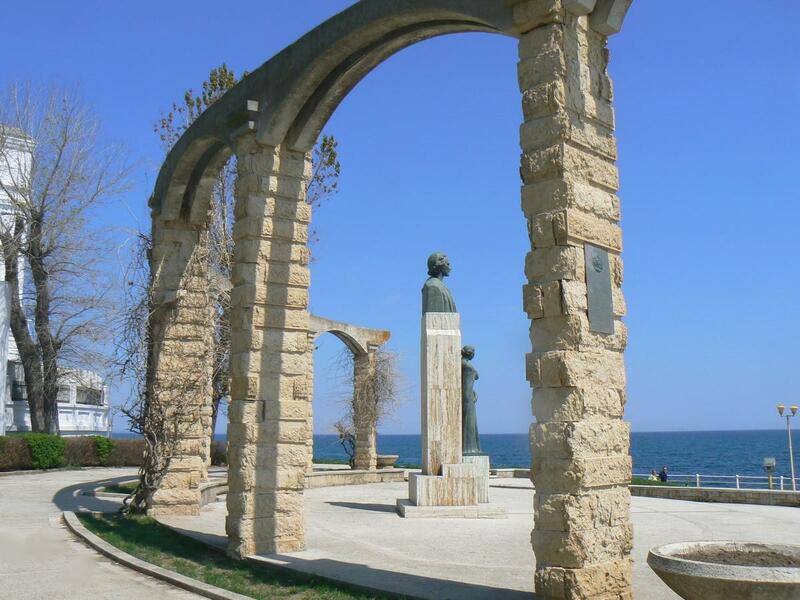 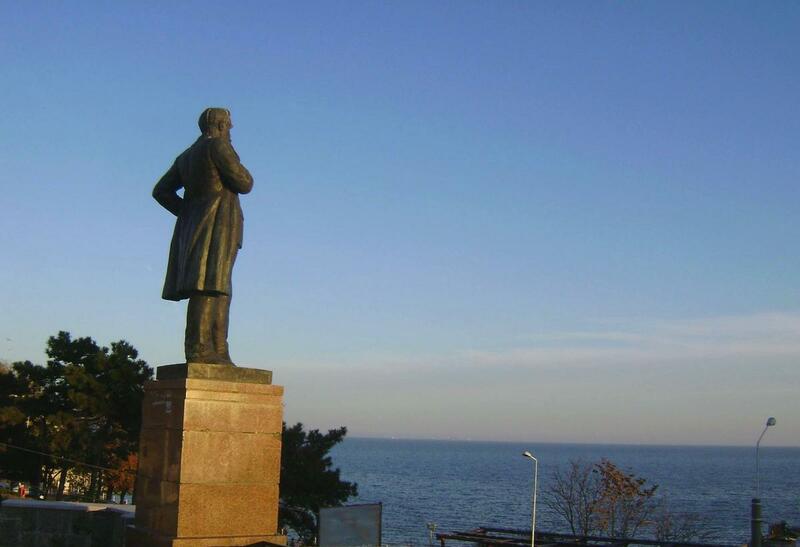 Ovid (romanian: Ovidiu) was a famous Roman poet sent into exile in Tomis (ancient Constanta), whose name constitutes a symbol in Constanta’s history (on left – Ovidiu’s statue near the History Museum). 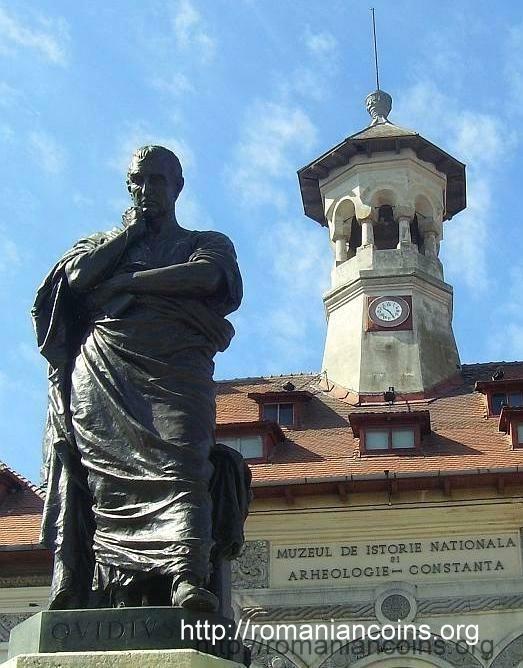 While in exile, he wrote Tristia (“Sorrows”) which, among other things, describes Tomis and expresses his sadness at being expelled from his homeland. 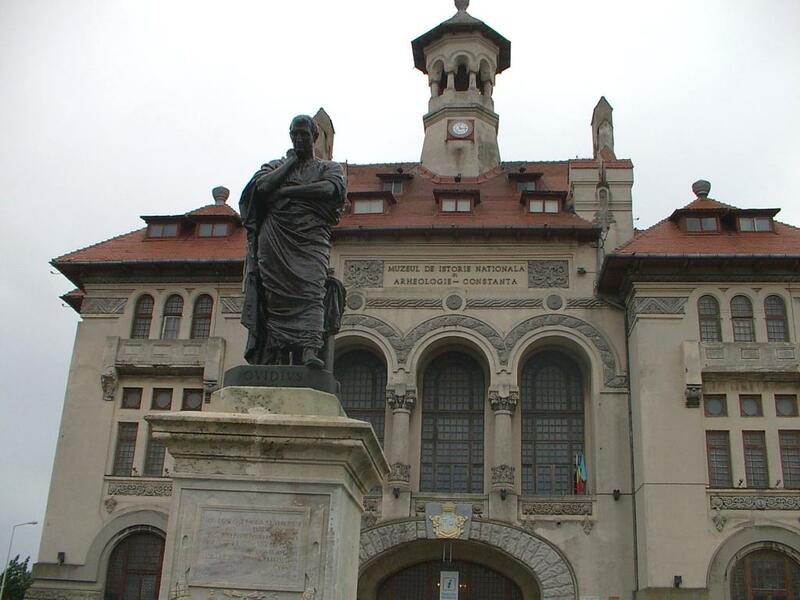 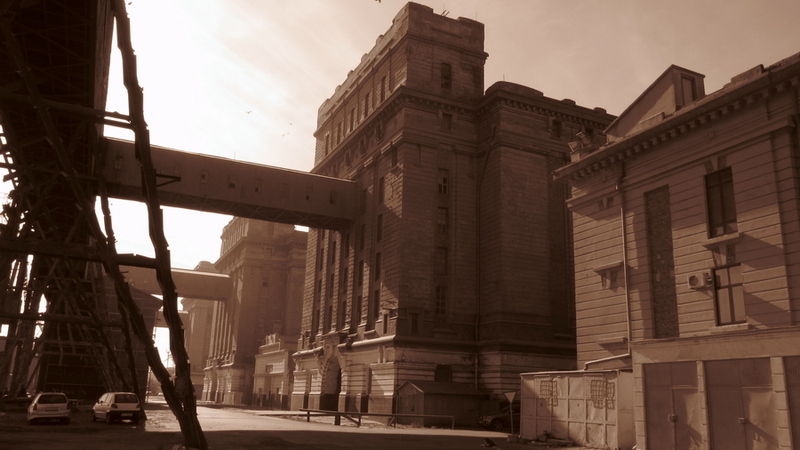 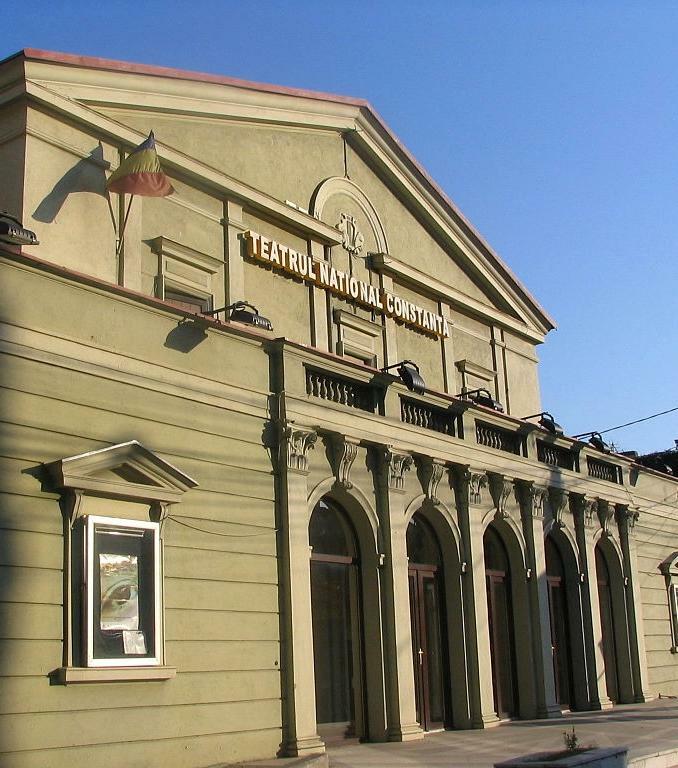 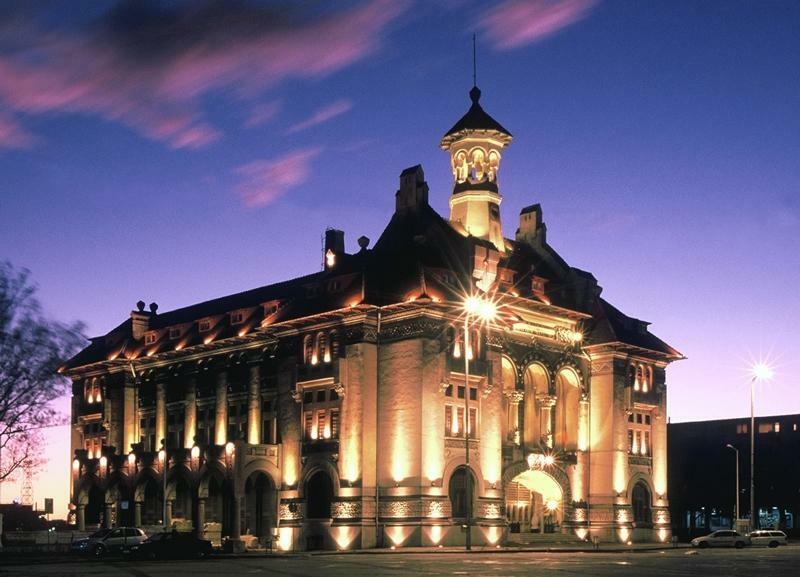 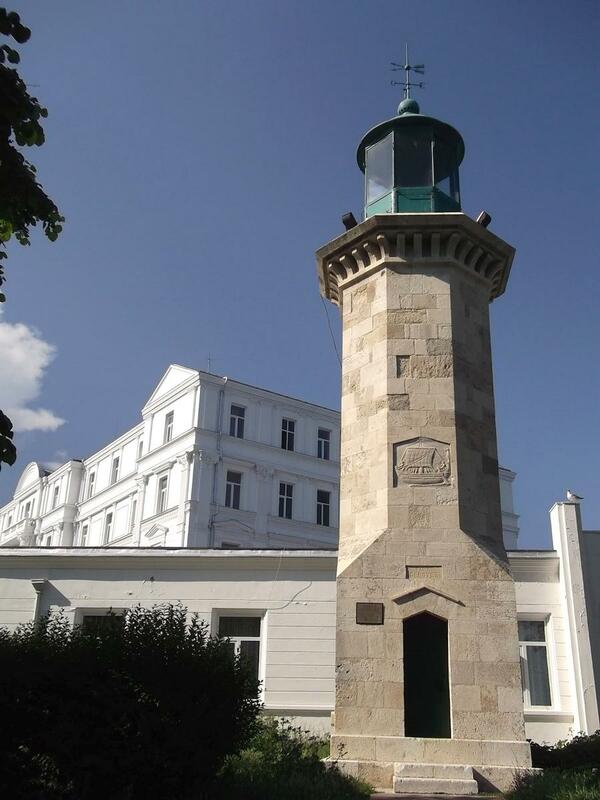 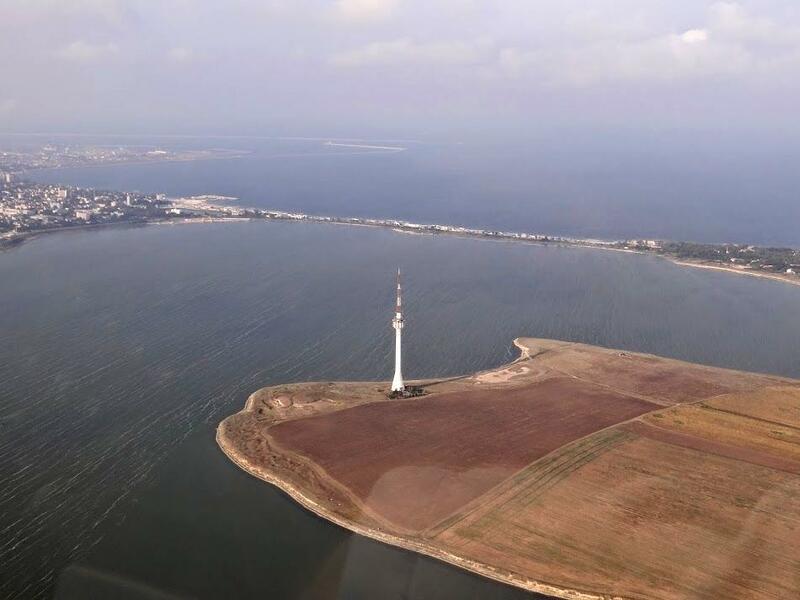 After Dobrogea became part of Romania in the XIX century, the Constanta port was built and the education and administrative infrastructure were developed, as they were lacking. 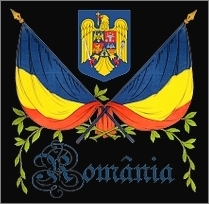 Romanians, an ethnic minority at the time, became a majority when Turks/ Tatars (who had settled during Ottoman occupation) migrated to the newly-formed republic of Turkey in 1923. 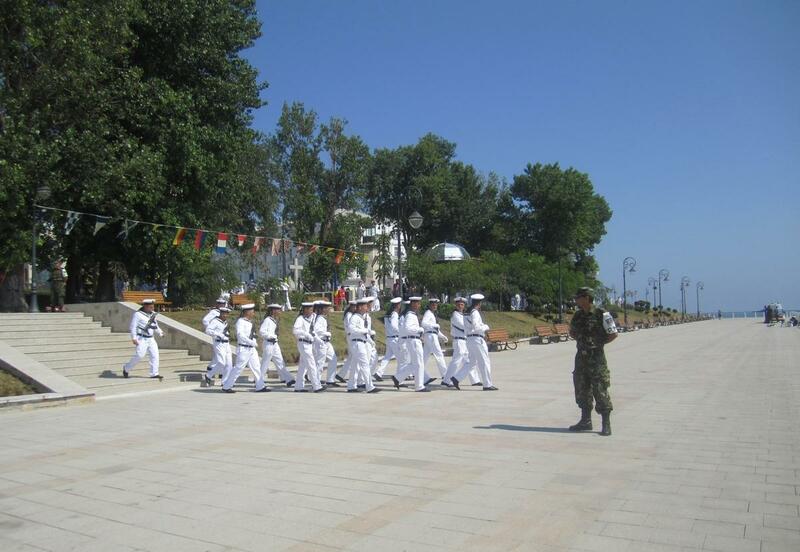 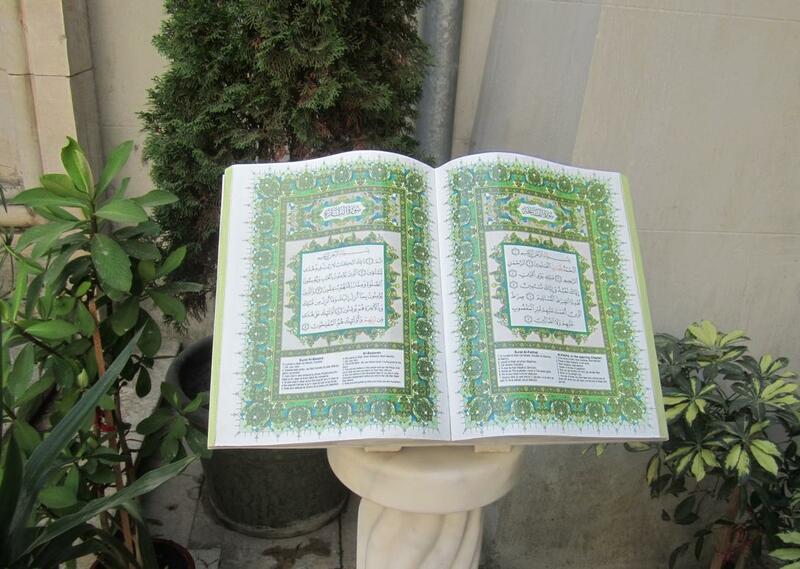 The other minorities remained in the area. 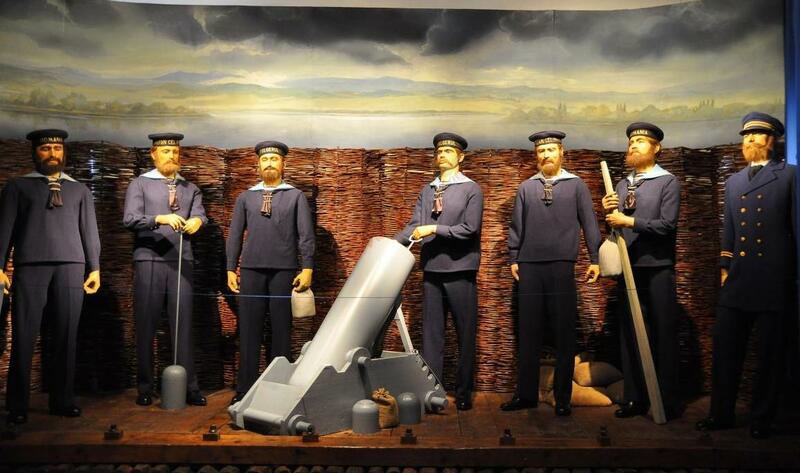 The First World War brought significant damage caused by German bombardments. 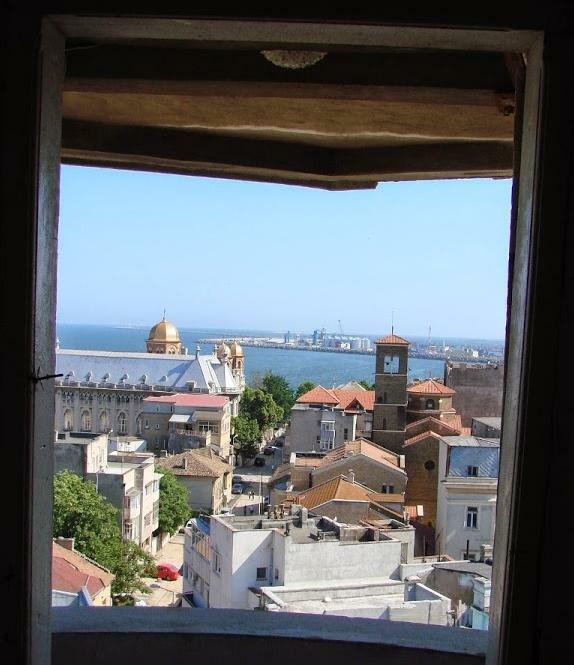 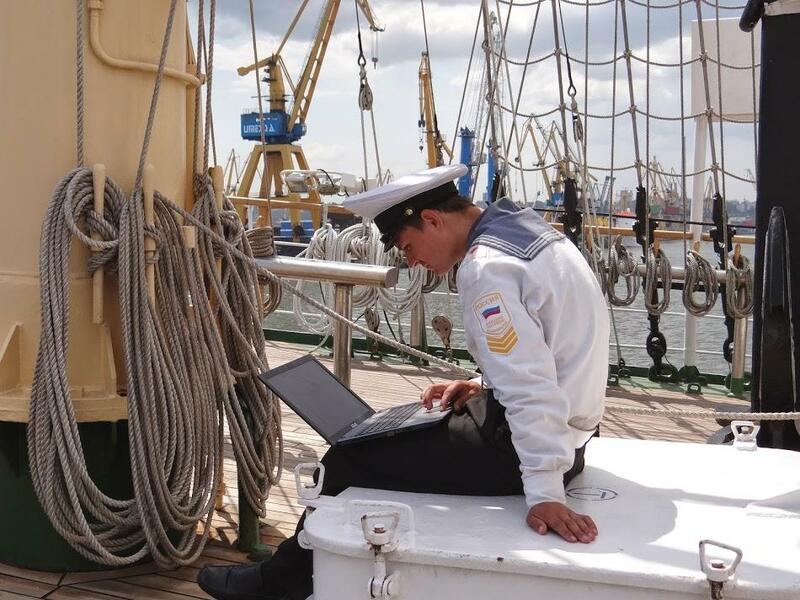 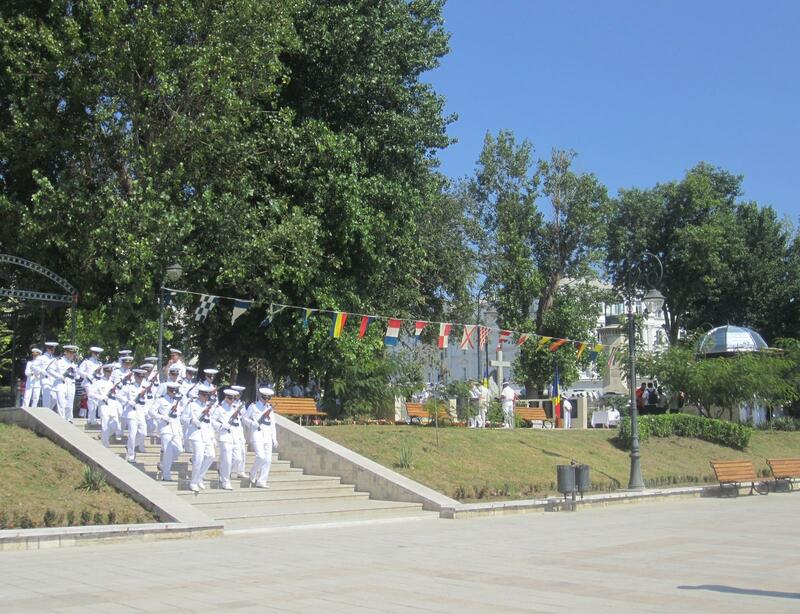 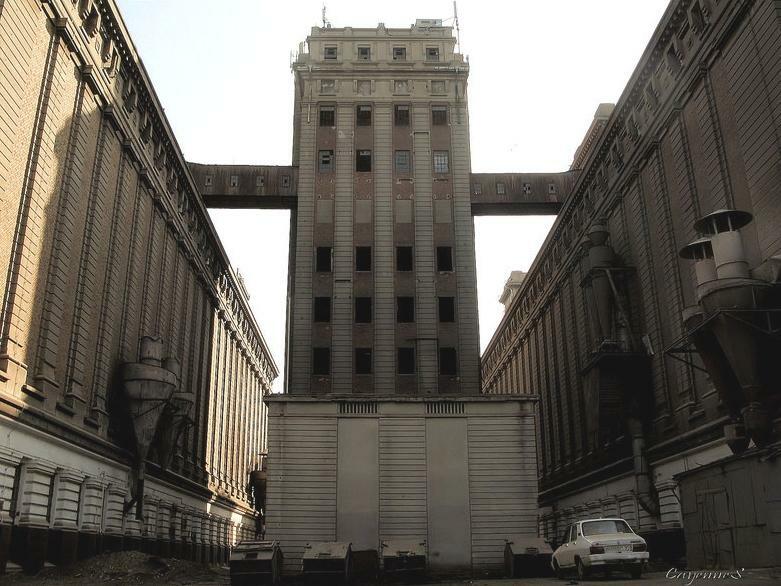 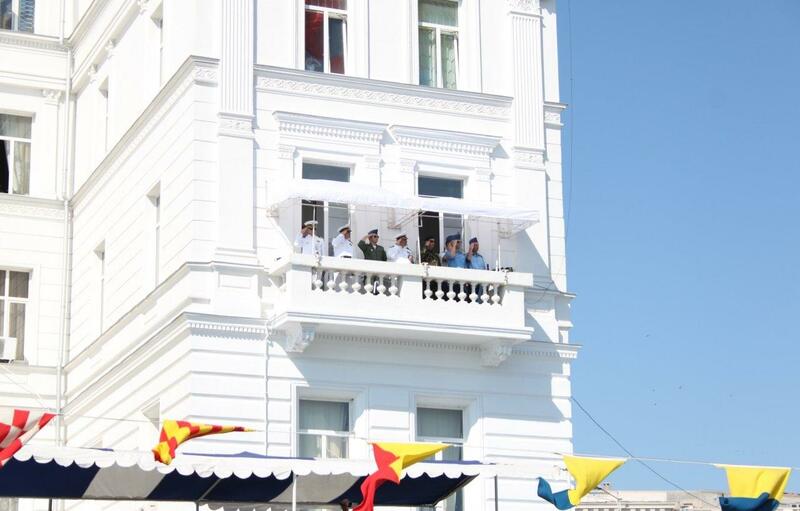 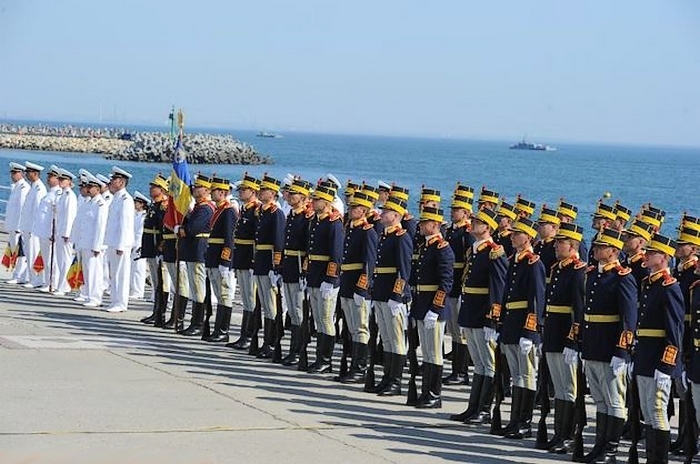 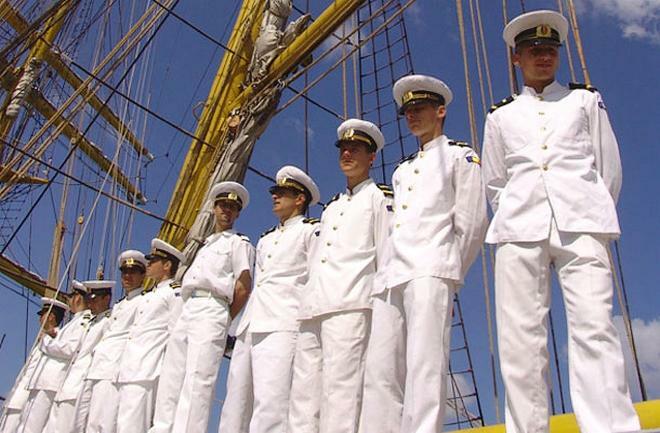 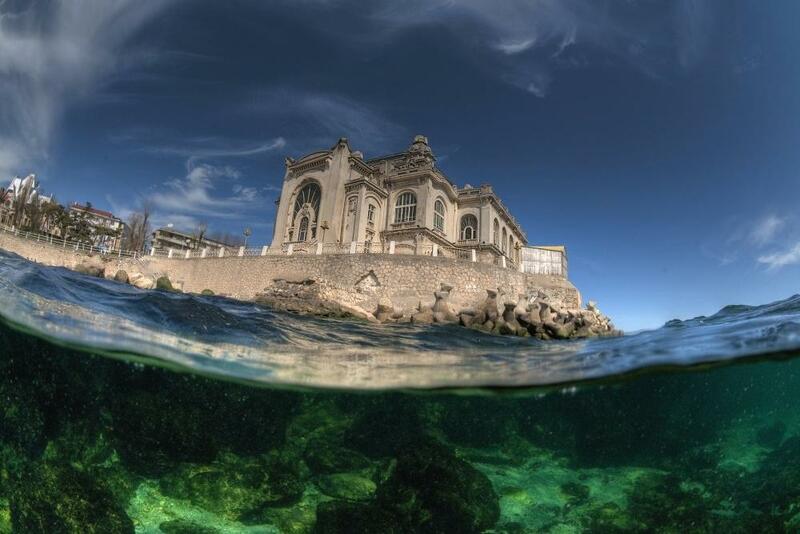 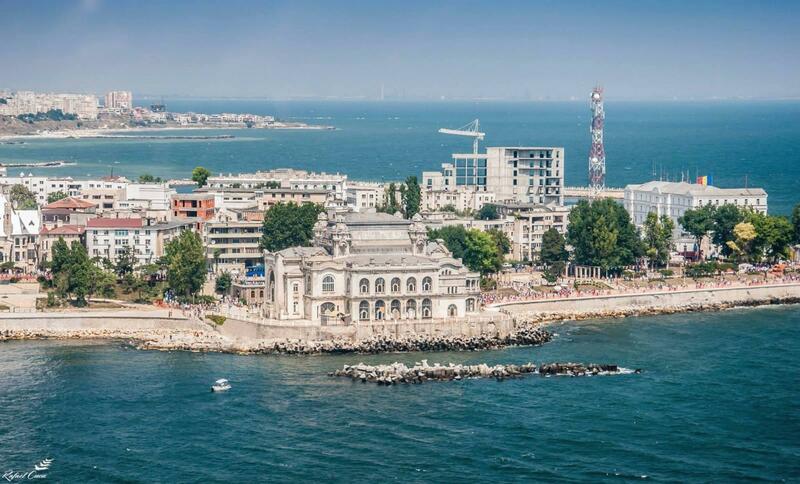 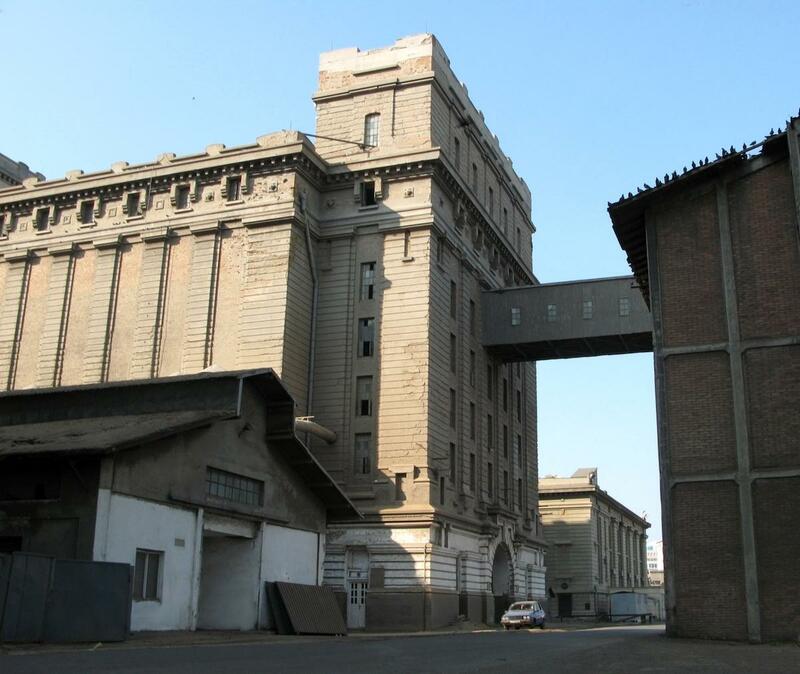 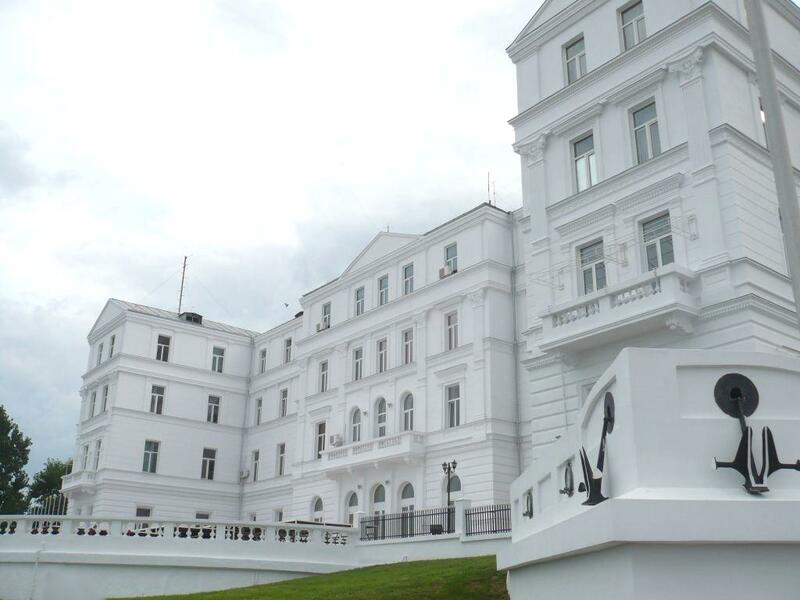 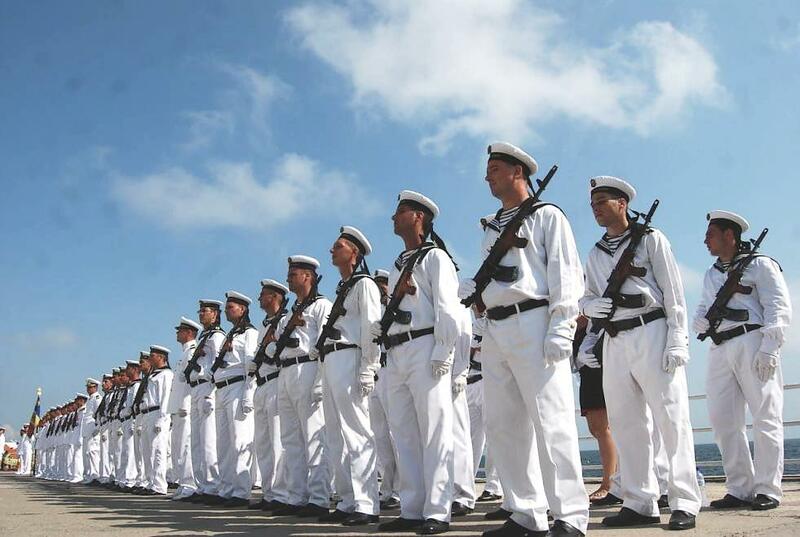 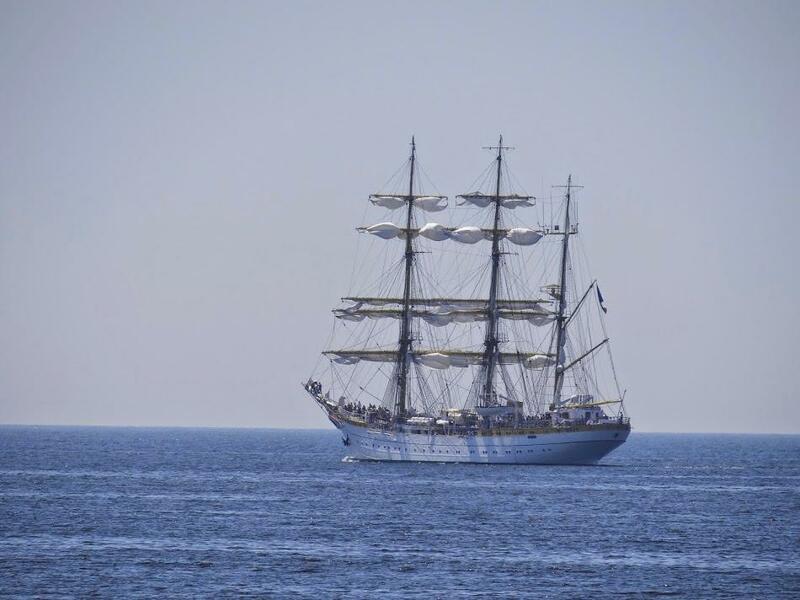 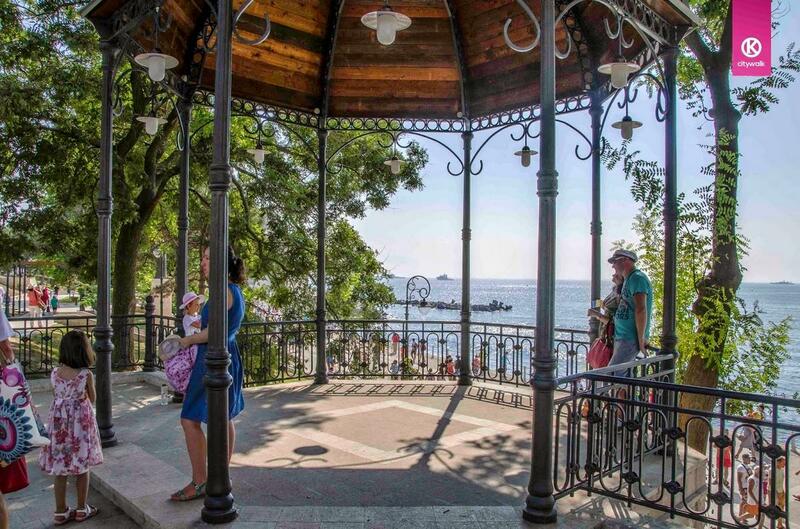 During Second World War, Constanta was assaulted by the Soviets and its entire Navy was confiscated by the Red Army, bringing Constanta’s flourishing period to an abrupt ending. 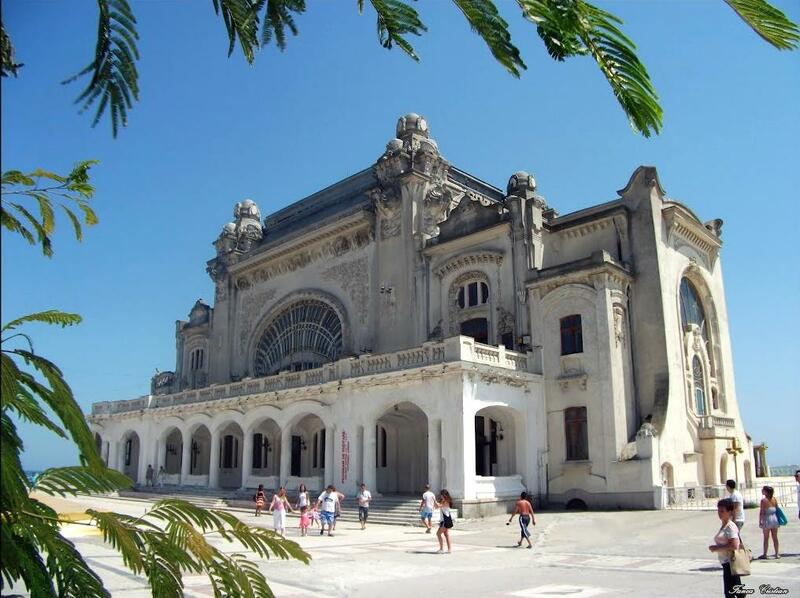 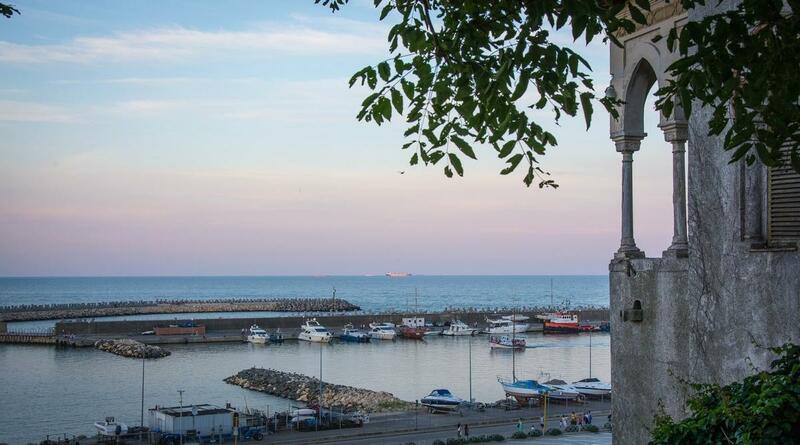 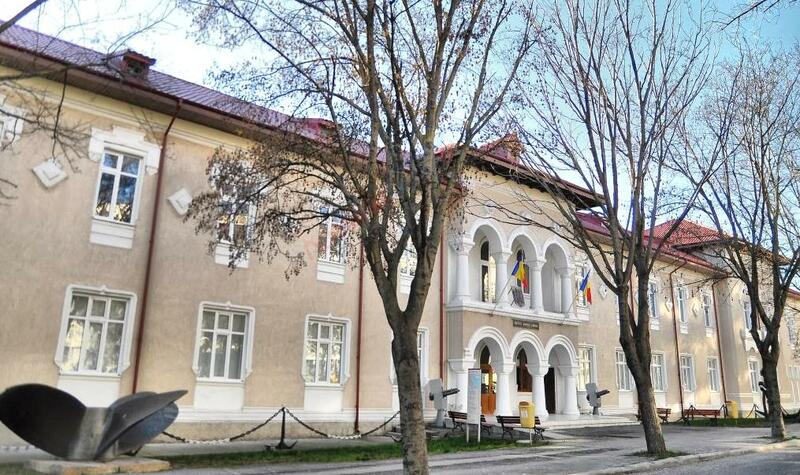 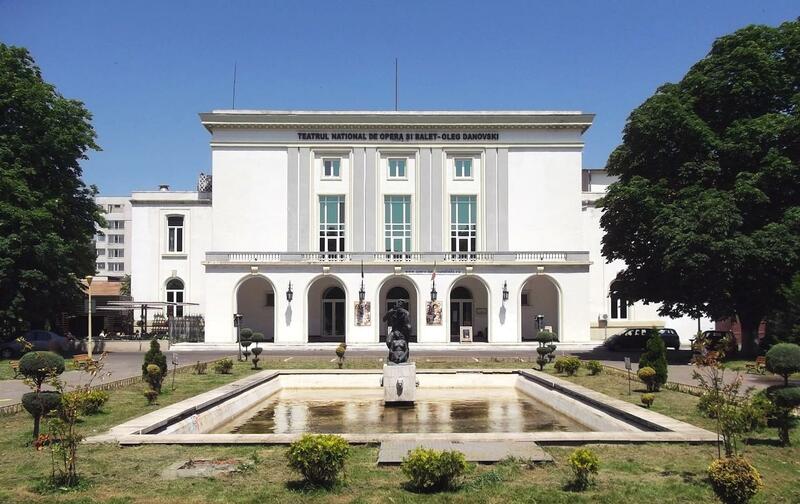 The Museums hold precious artifacts – starting with Hamangia and Gumelnita cultures (5000 years old), and numerous ancient artifacts (most of them dated 2000 years ago) which are proof to Constanta’s rich and diverse historic past. 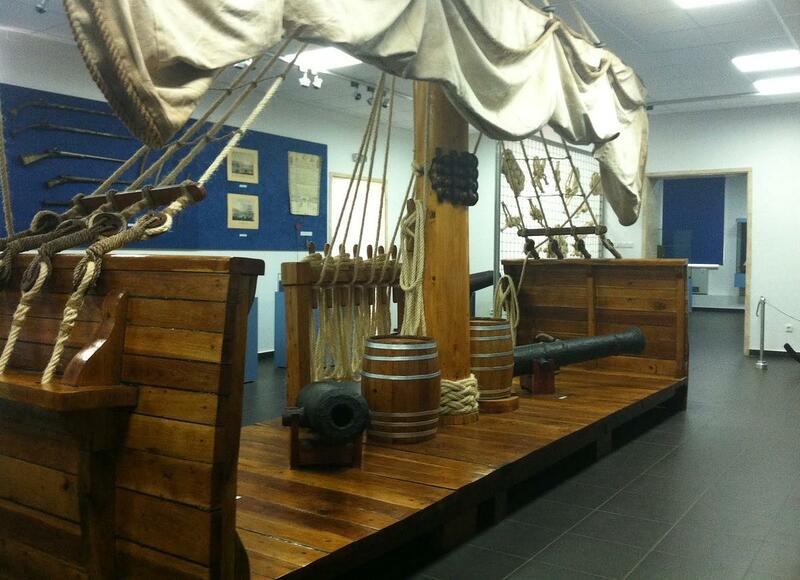 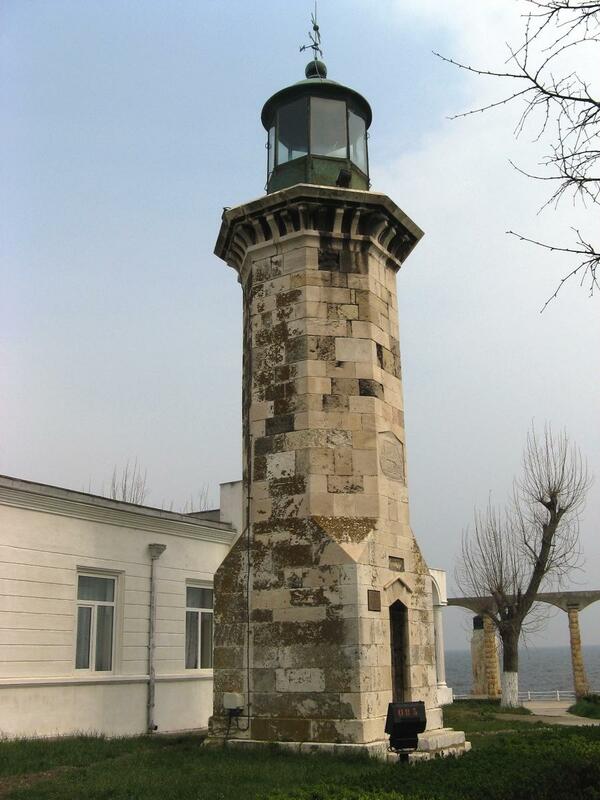 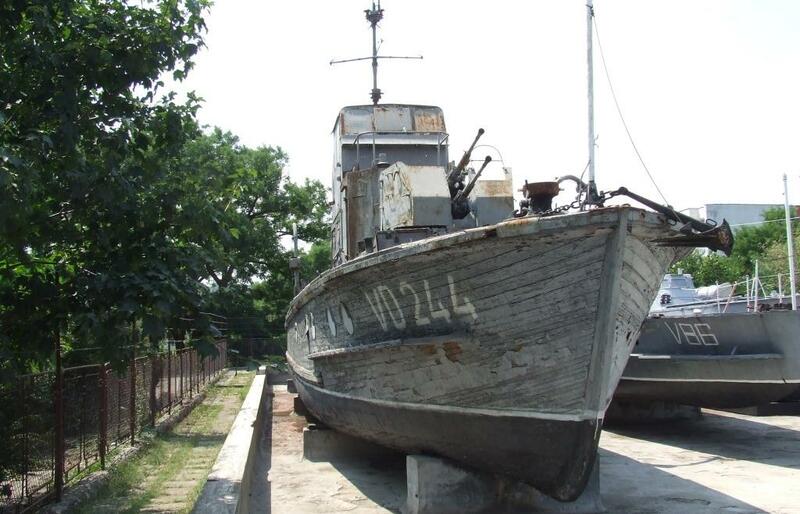 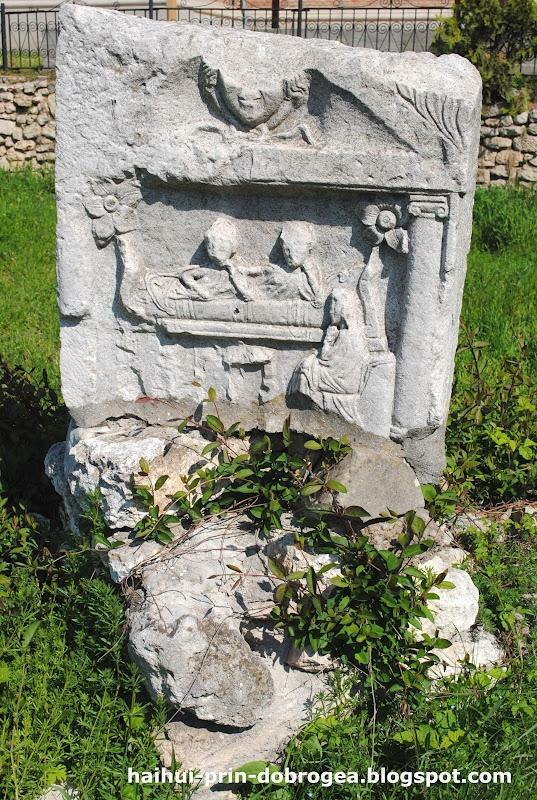 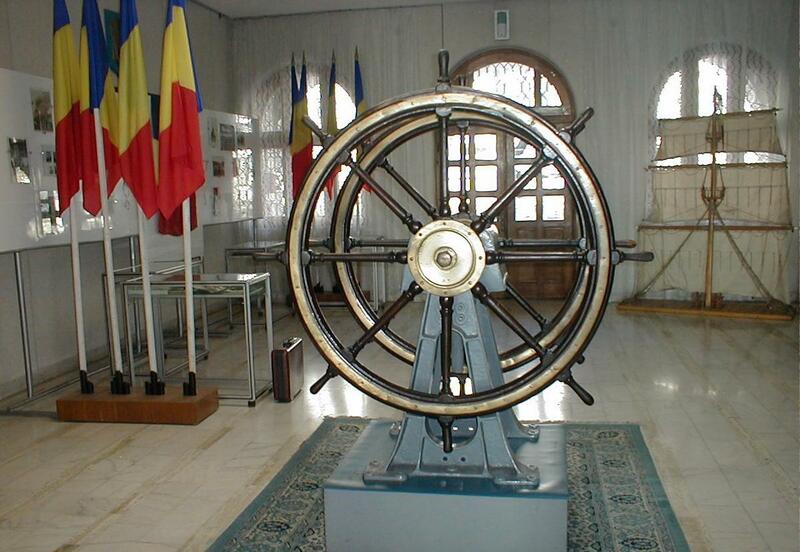 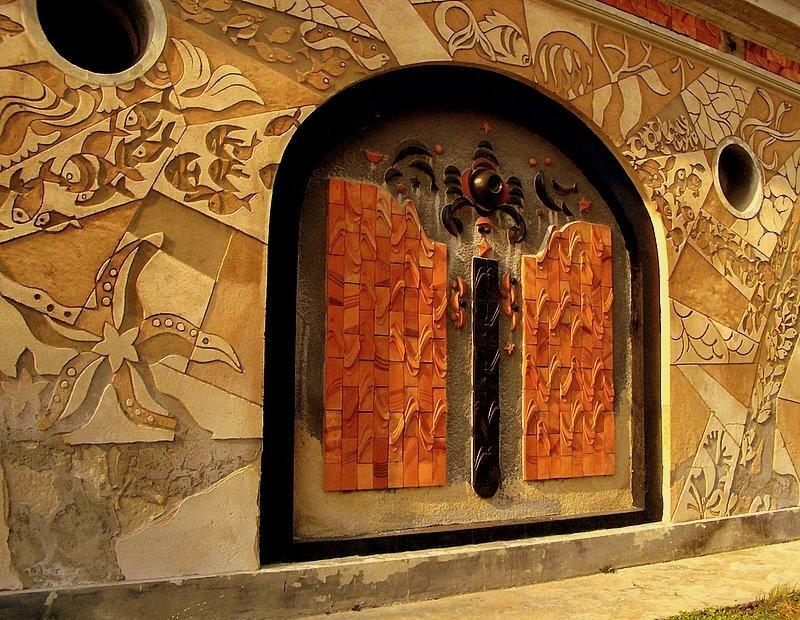 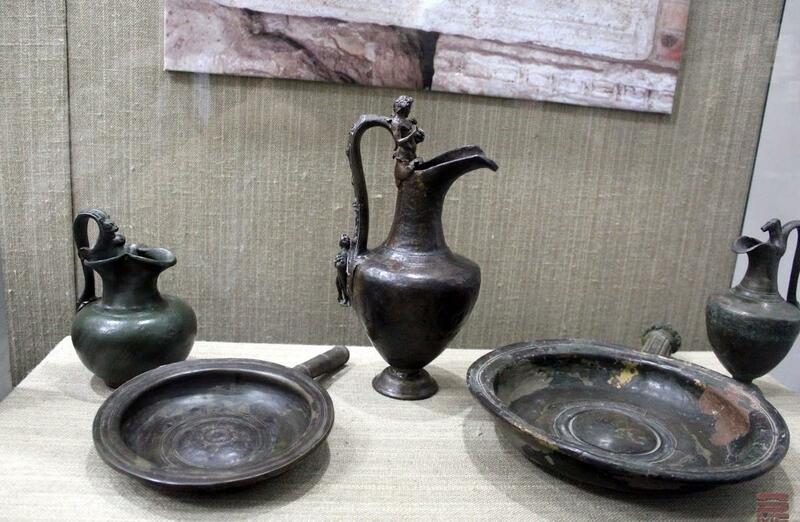 Other artifacts can be found in other local museums in Constanta and Tulcea counties. 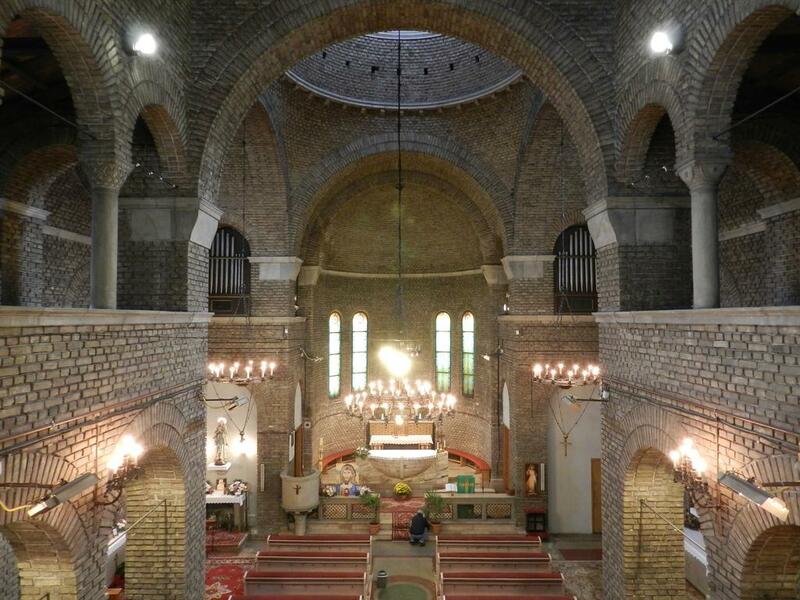 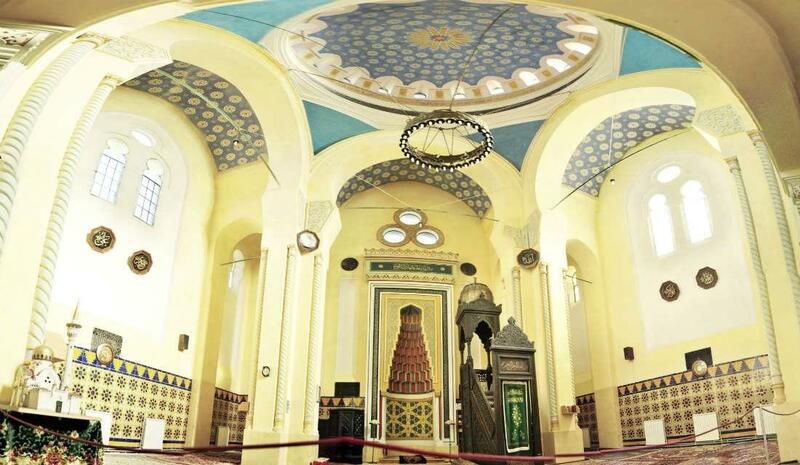 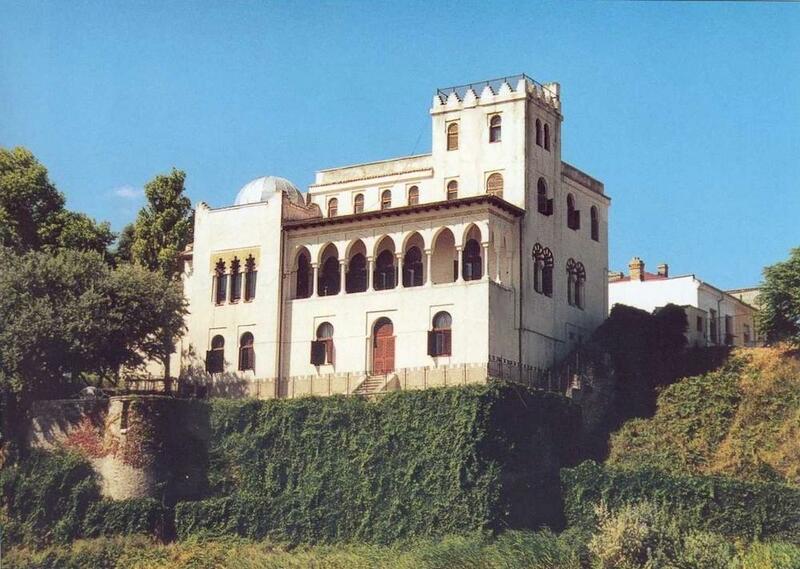 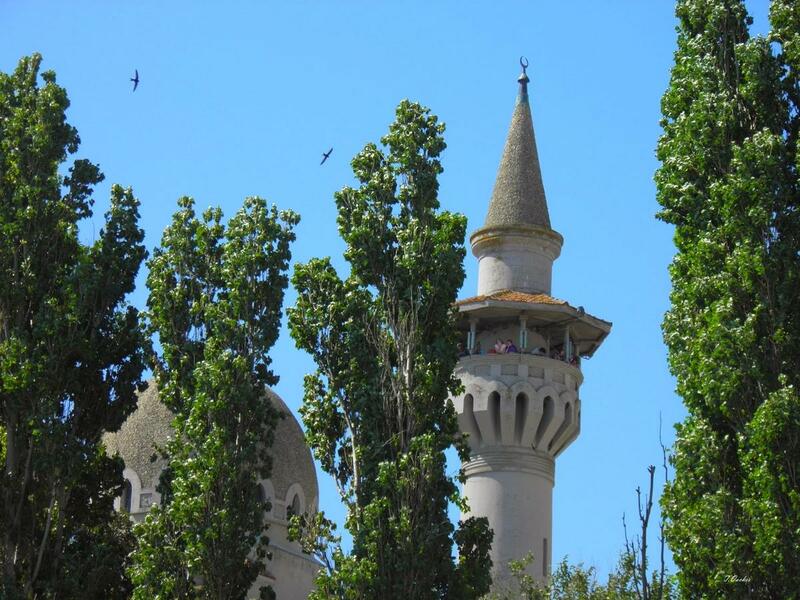 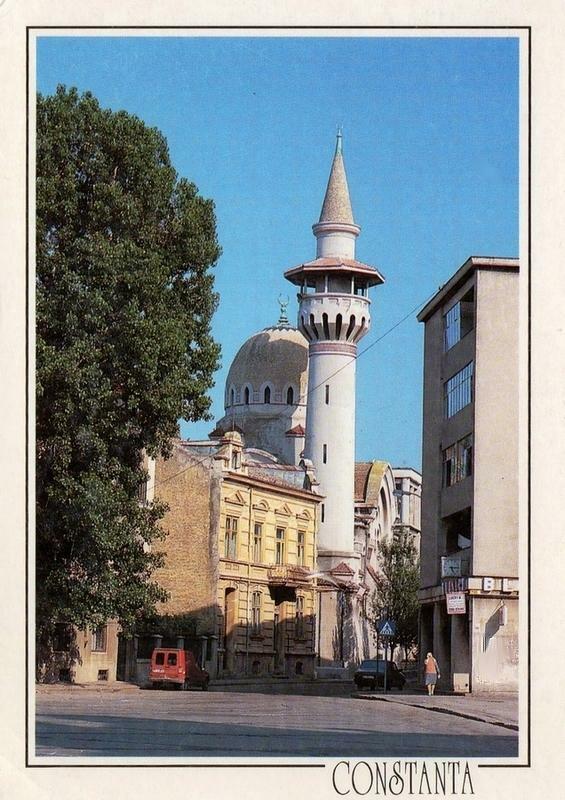 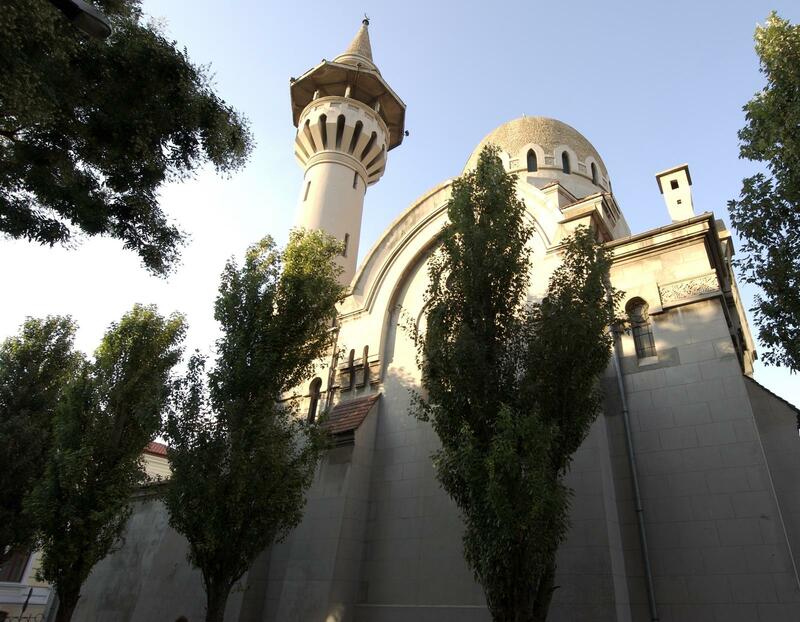 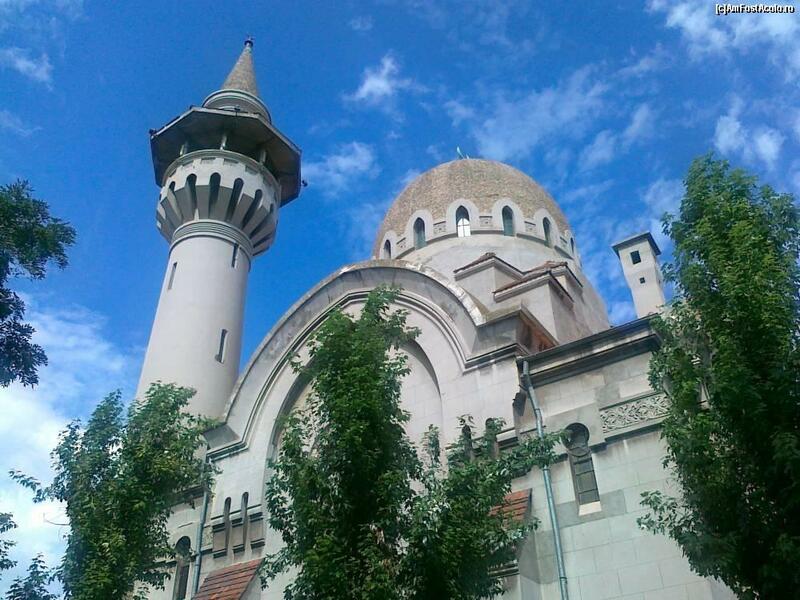 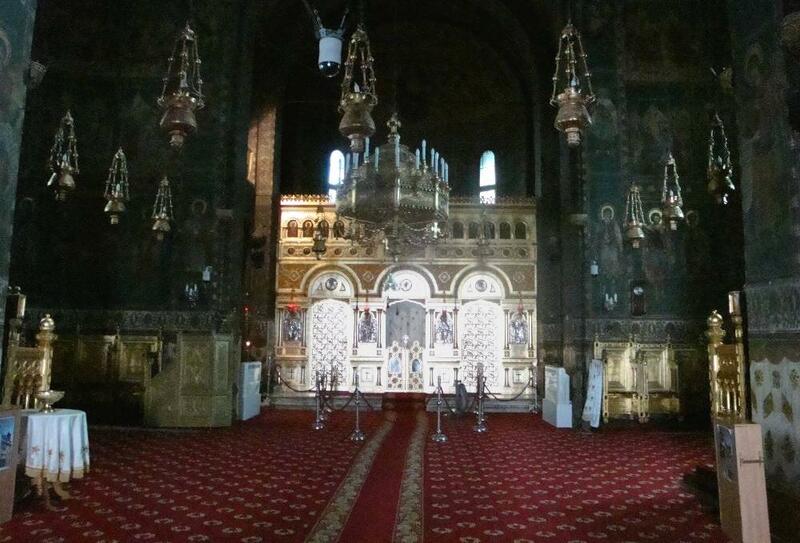 Carol I mosque – built by King Carol of Romania, as the few historic mosques were extremely small. 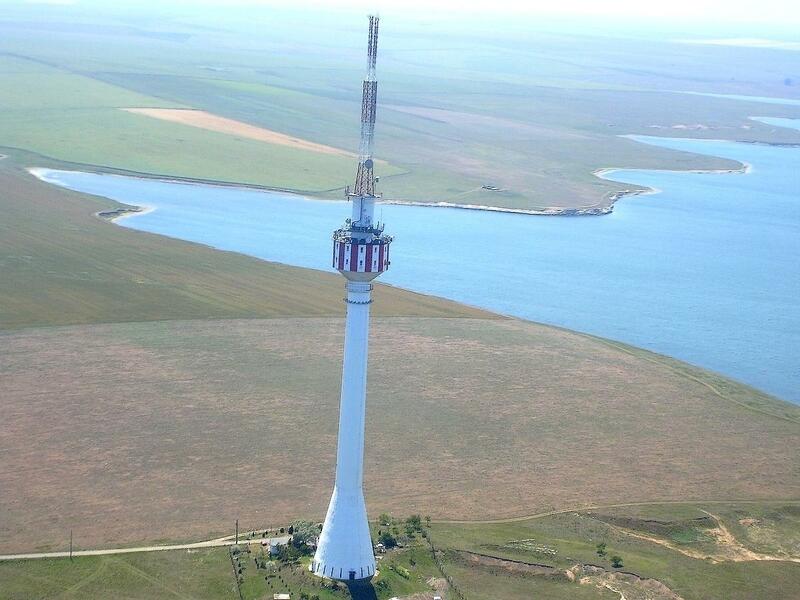 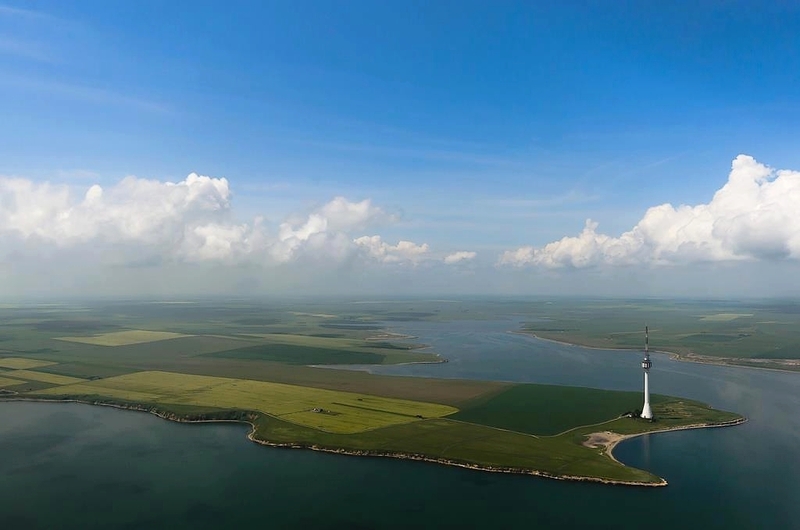 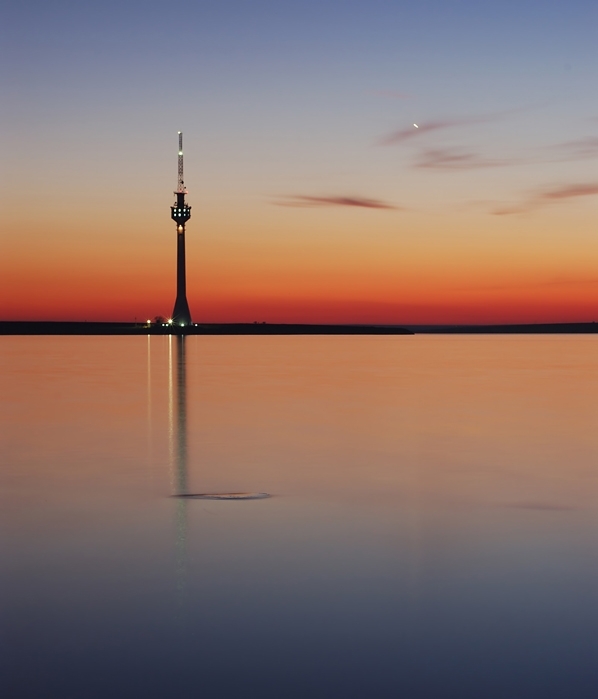 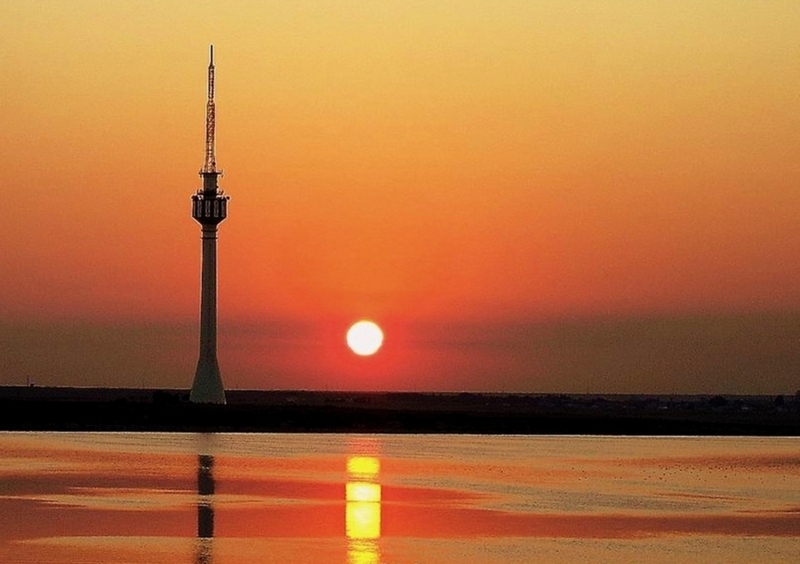 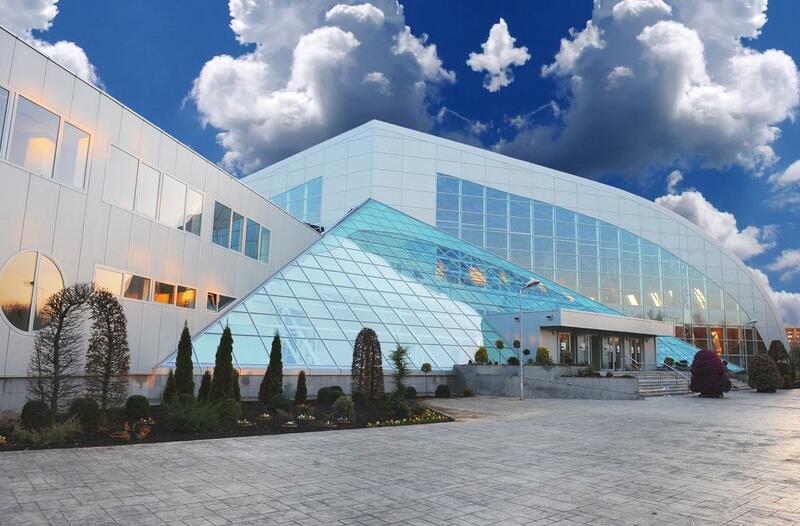 It stands 50 meters tall at its highest point. 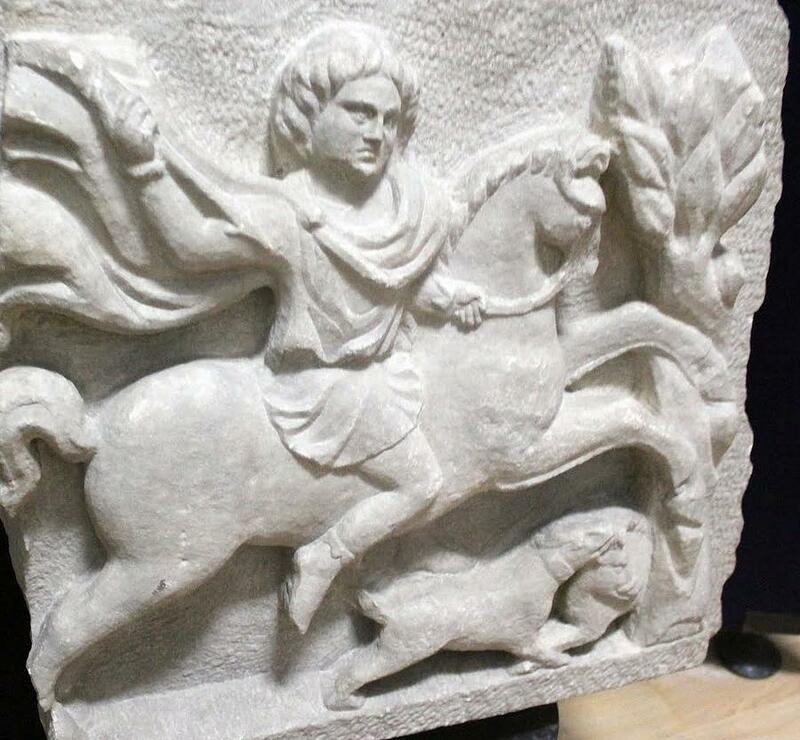 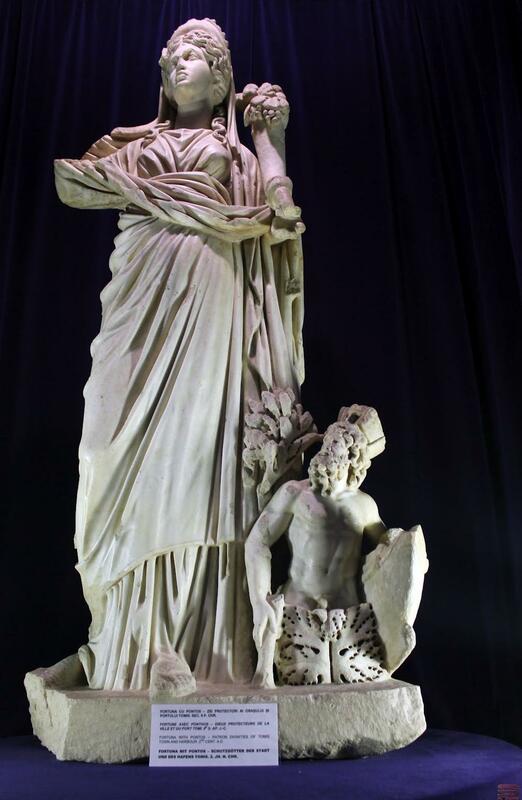 Ancient artifacts – Fortuna statue dated 2nd century BC. 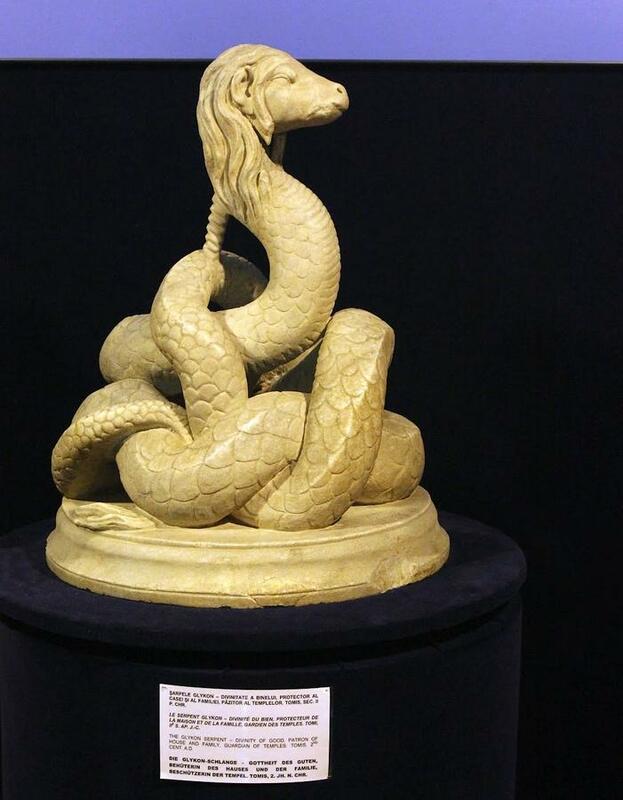 Glykon serpent – 2nd century A.D.
Anghel Saligny statue – Romanian engineer who built Saligny bridge near Constanta – the longest bridge in Europe at the time. 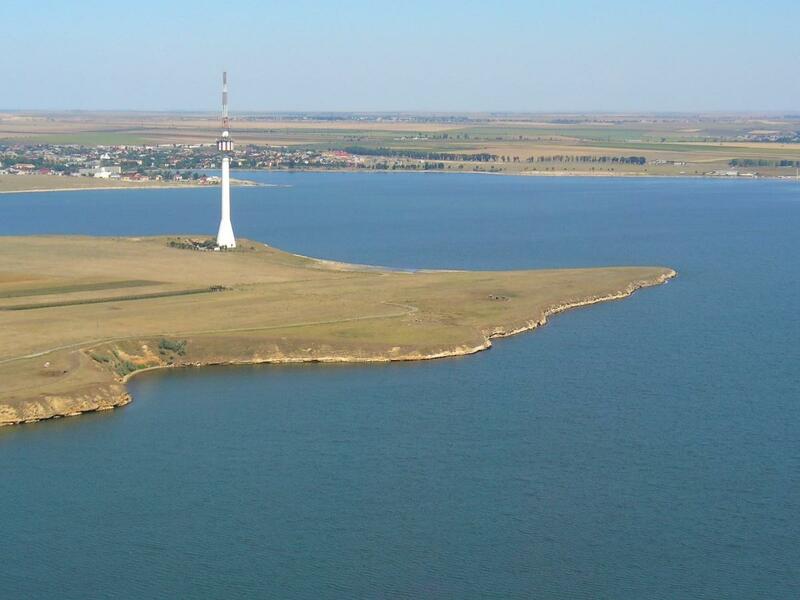 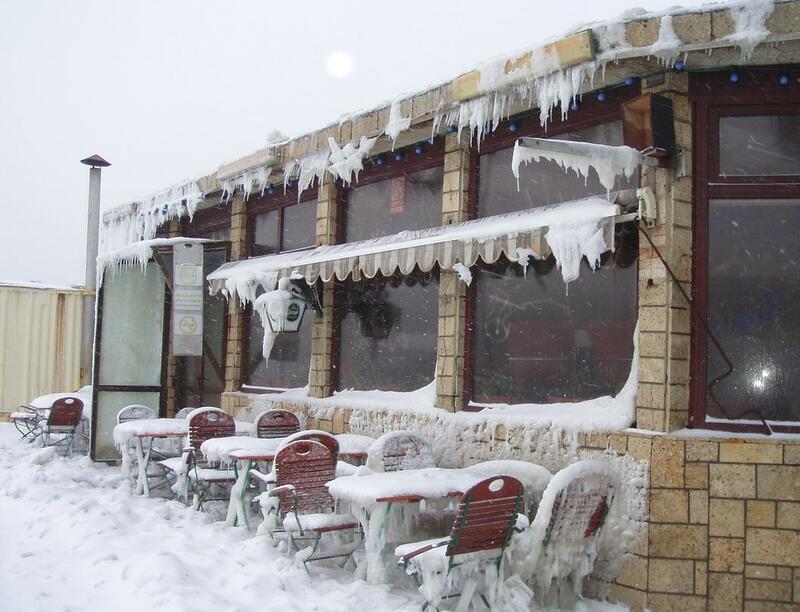 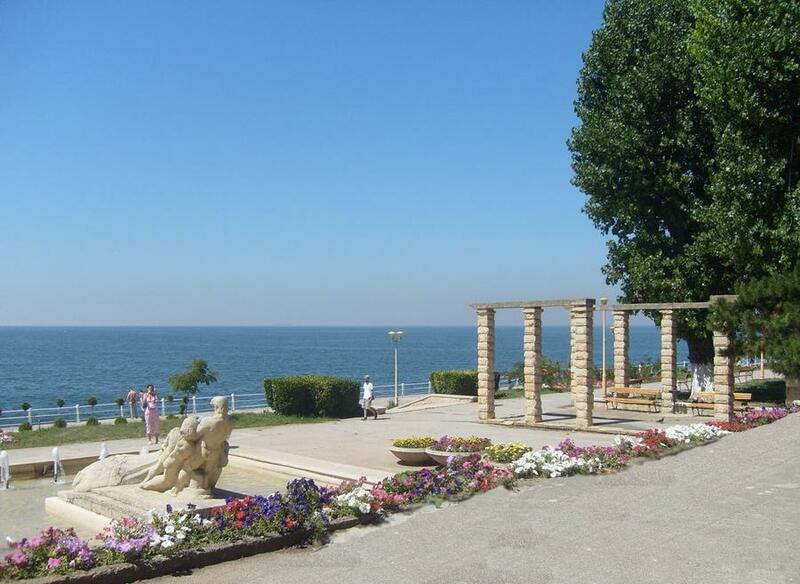 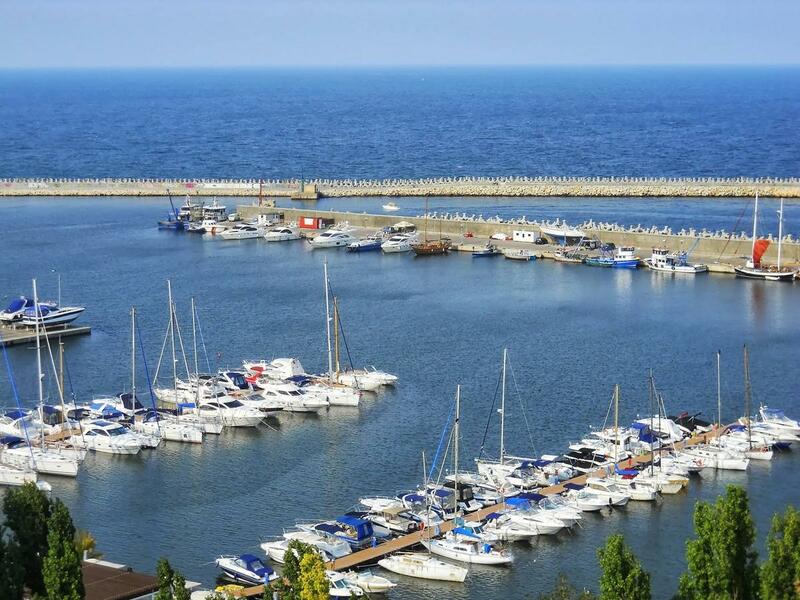 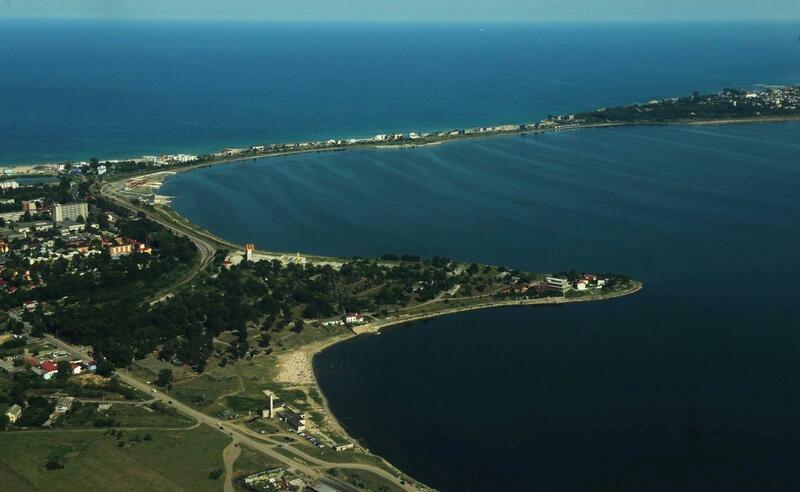 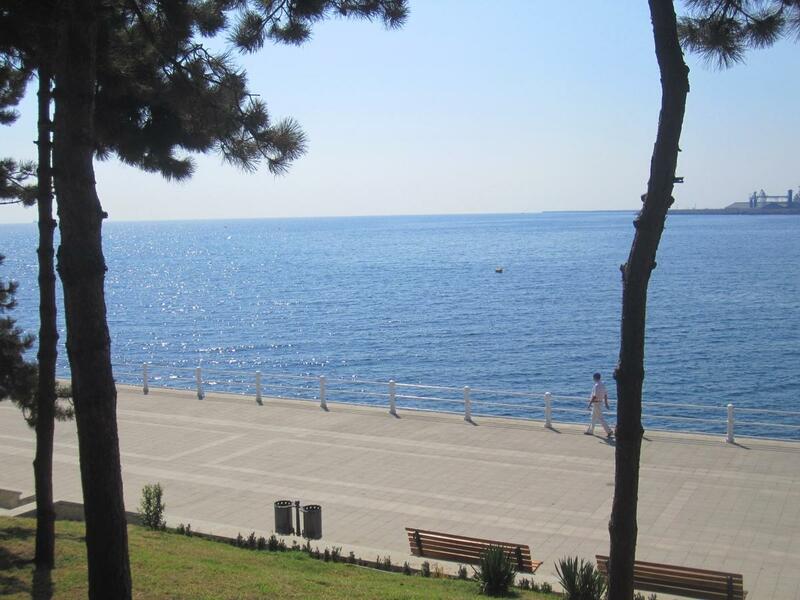 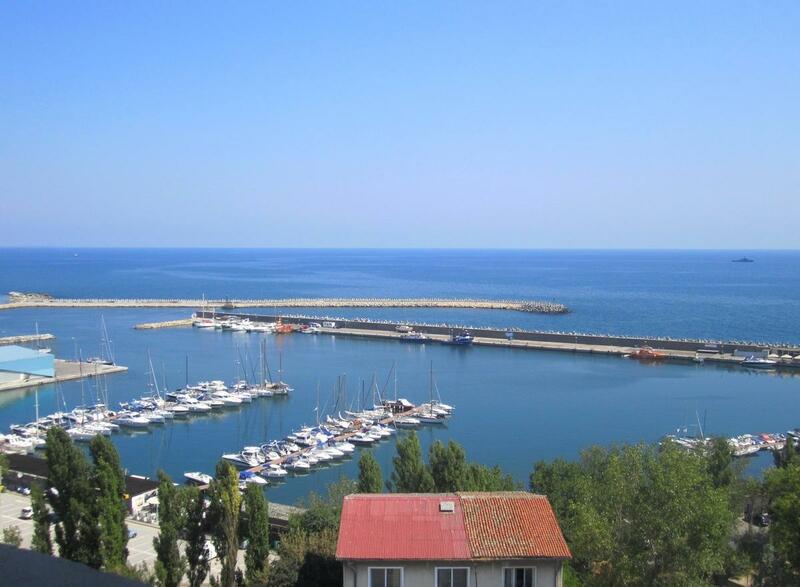 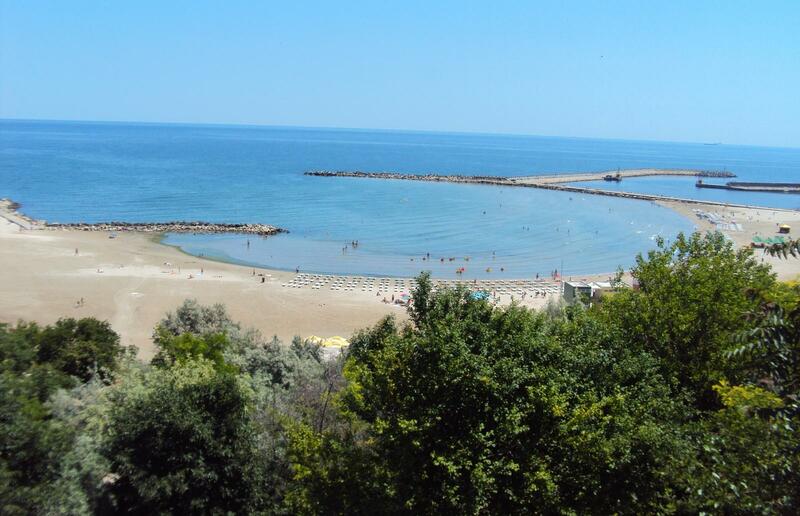 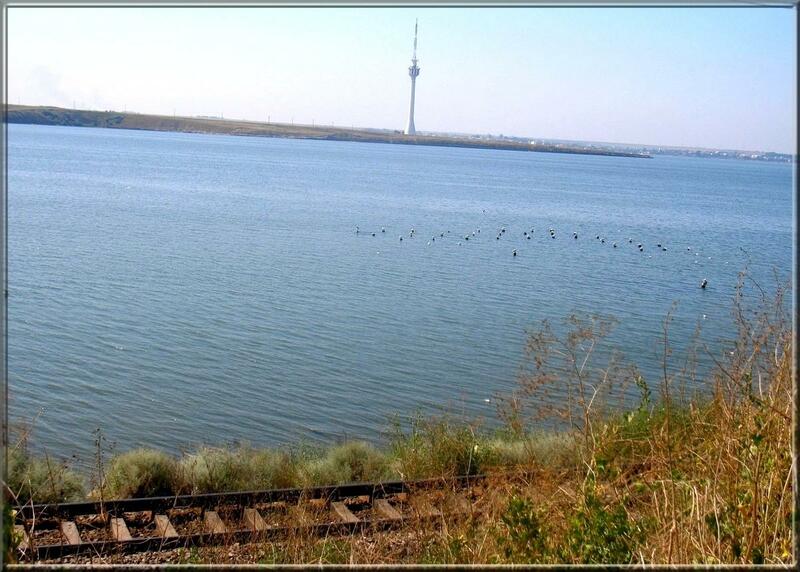 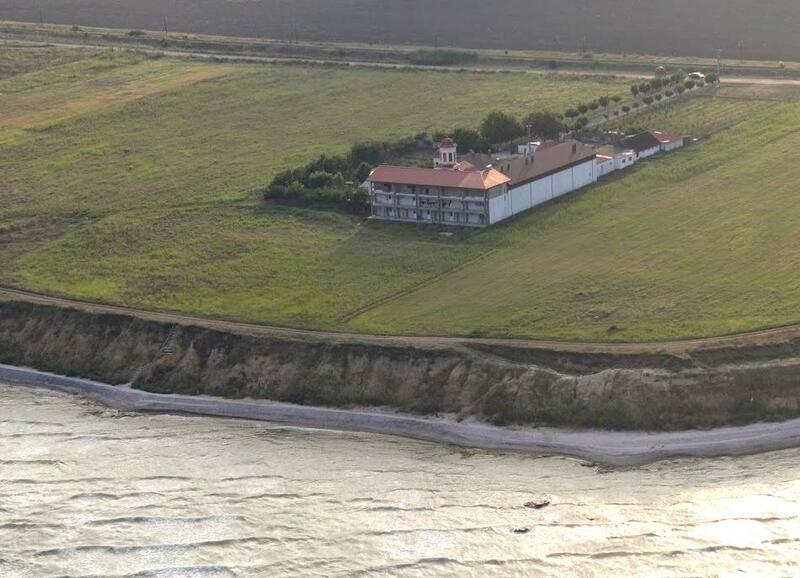 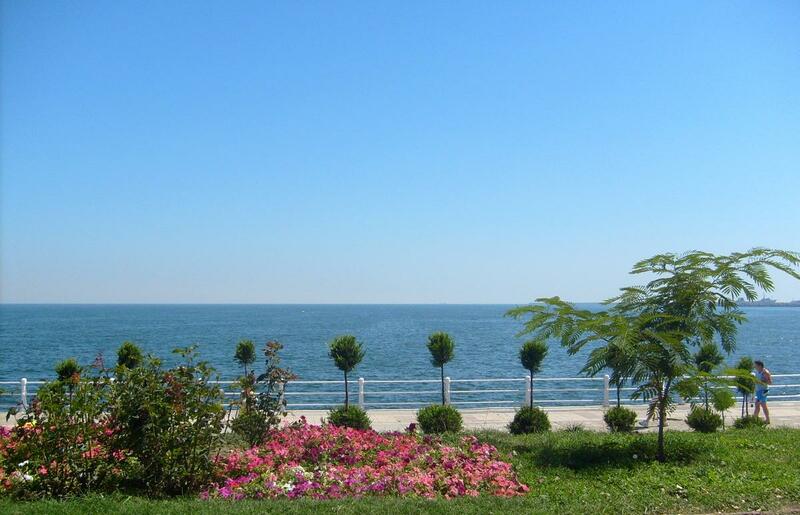 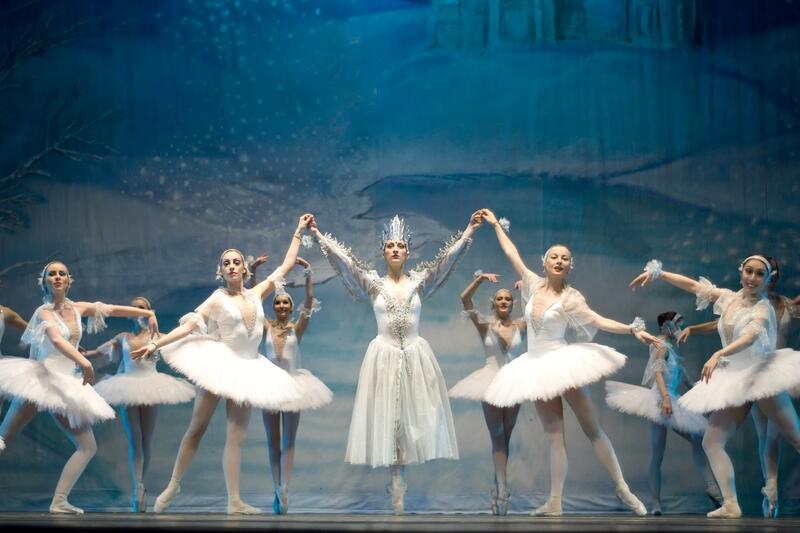 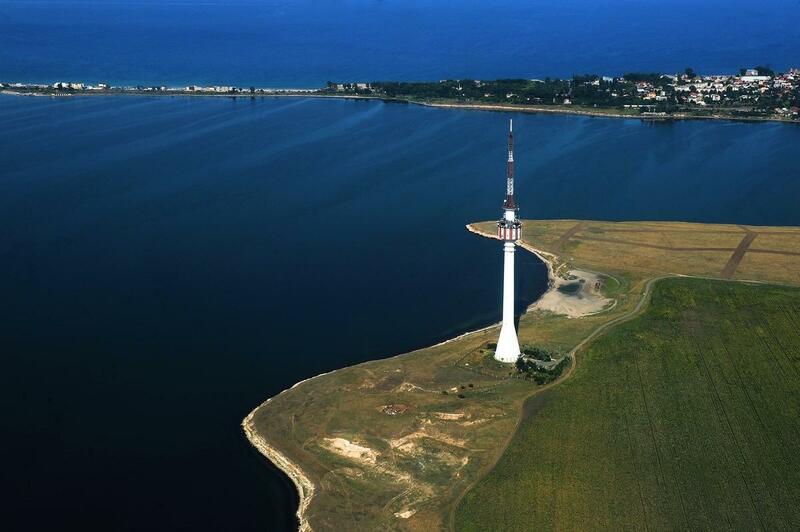 The lake is located in the vicinity of Eforie beaches, near the Black Sea. 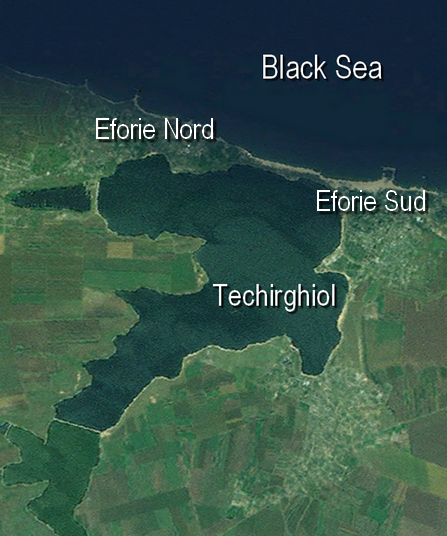 The lake is popular for its curative water and muds.